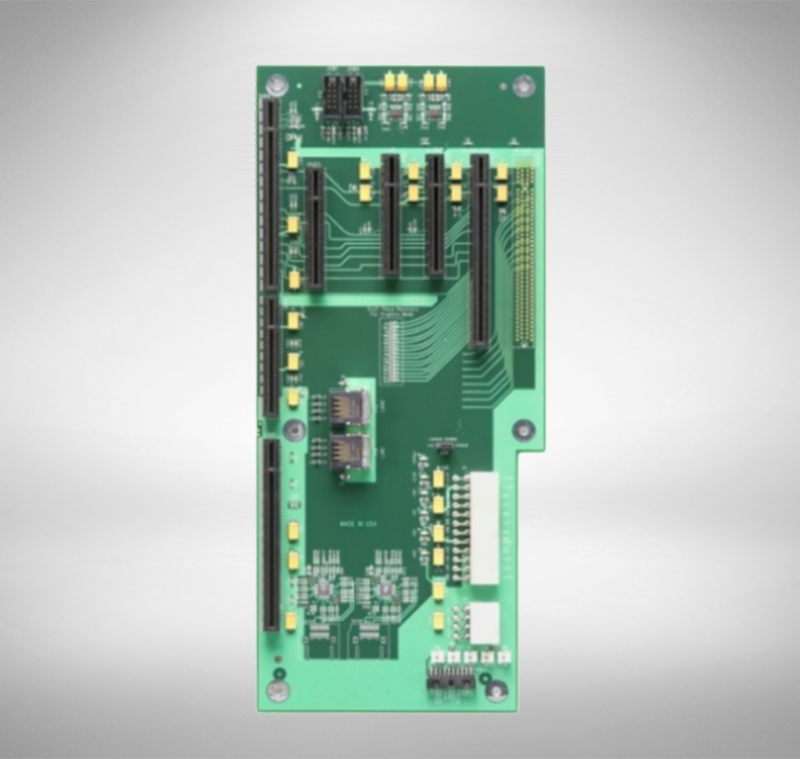 10 total PCIe option card slots available in PCI Express backplane applications. 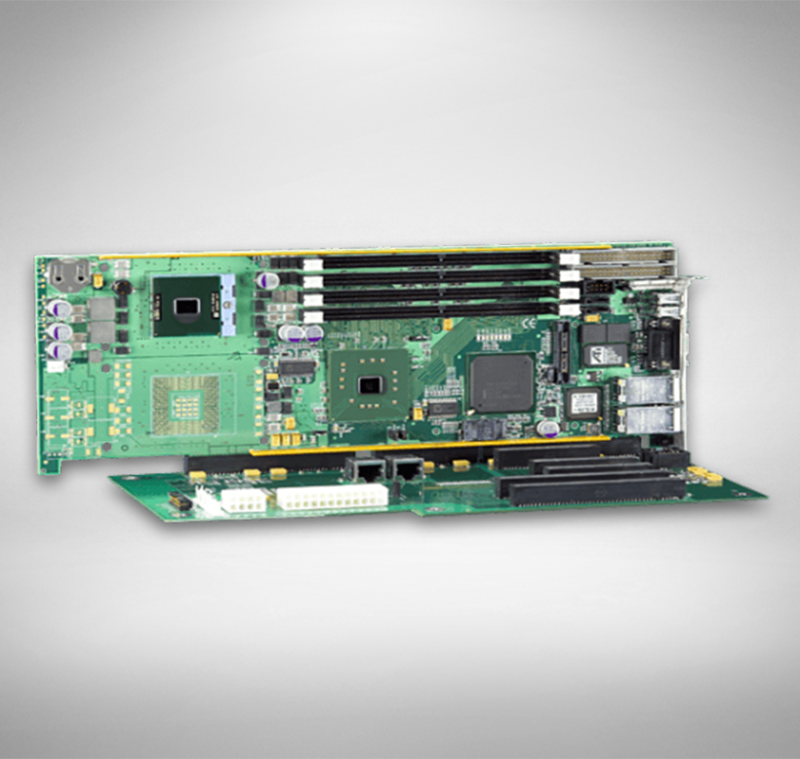 State-of-the-art PCI Express 3.0 switches ensure fast and reliable option card-to-SBC data communications with 7 total x16, x8 and x4 PCI Express 3.0 option card slots. The legacy BPC7009 was the first backplane to support either PICMG 1.3 server or graphics-class single board computers while featuring an all PCI Express option card slot design. 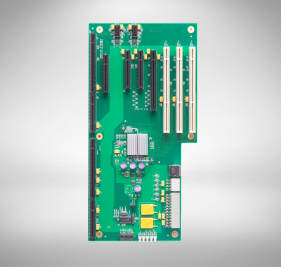 Designed to support single or dual-processor single board computers. 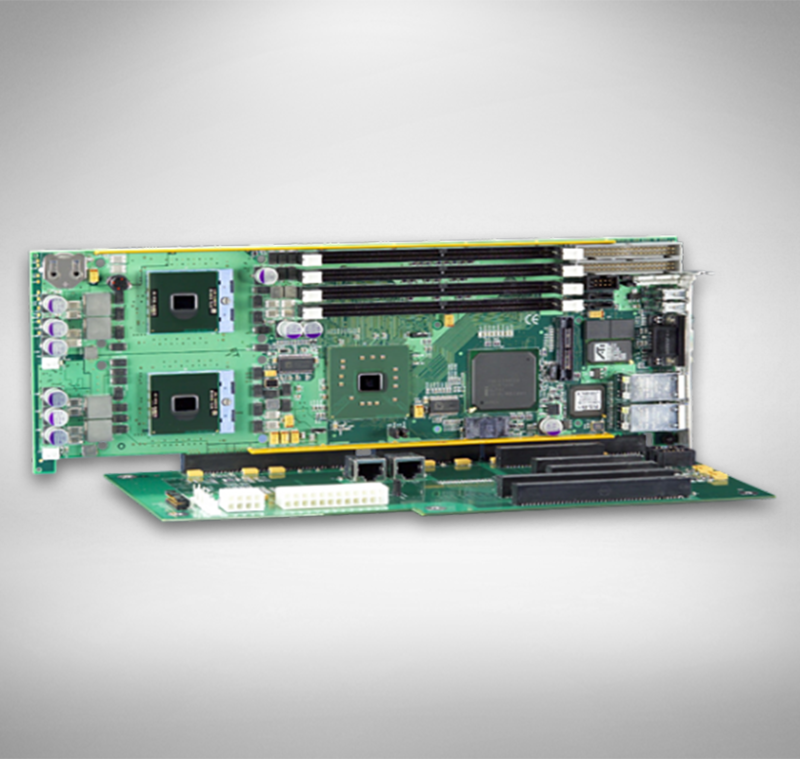 Each SBC segment on the BP2S6929 supports three x16 PCIe mechanical slots driven with x8 PCI Express electrical links from the segment’s PCI Express fan-out switch and also includes four 64-bit/100MHz PCI-X card slots. 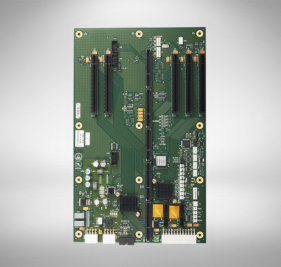 A PCIe-to-PCI-X bridge chip is used to provide a 64-bit/100MHz PCI-X interface to the PCI-X card slot in each SBC segment. Designed to support single or dual-processor single board computers. 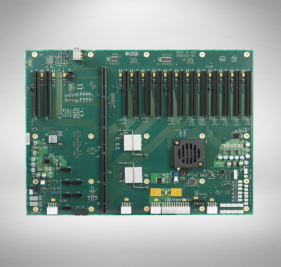 Each SBC segment supports three x16 PCI Express plug-in I/O option card slots driven with PCIe electrical links directly from the segment’s SBC. 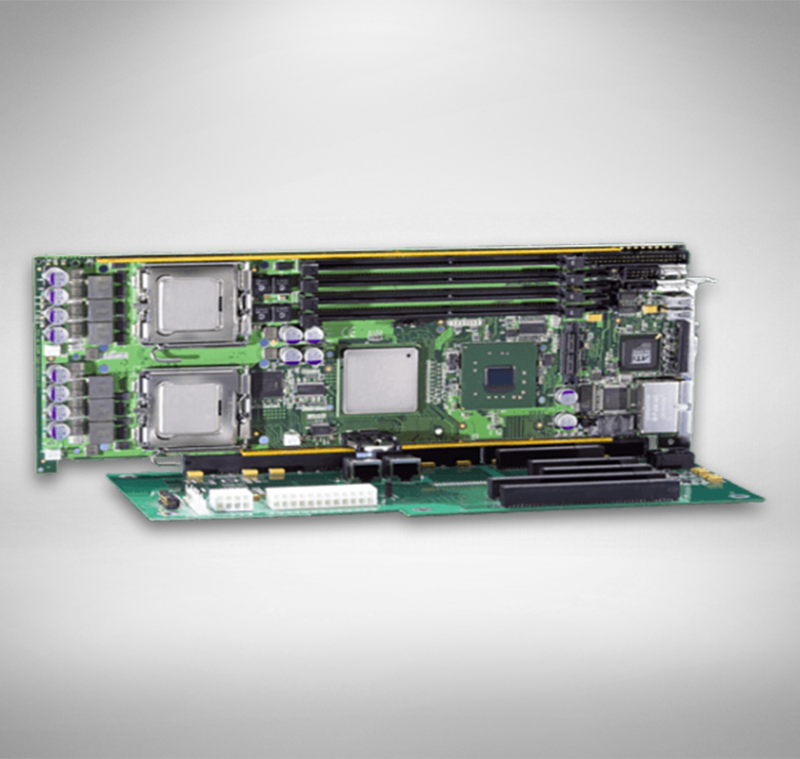 The legacy BPX6620 backplane provides electrical connections for one x8 and one x4/x1 PCI Express plug-in I/O card and ten PCI-X/PCI option cards. 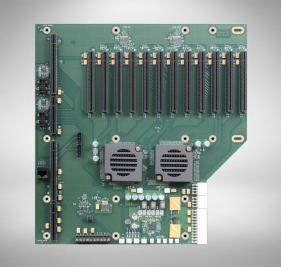 The backplane supported a wide range of single or dual-processor PICMG 1.3 single board computers that interfaced with the PCIe card slots and the PCI-X option cards via three dual-channel PCIe-to-PCI-X bridge chips. 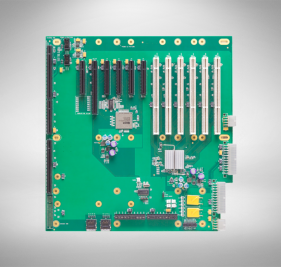 Designed to support low-power single board computers that have low-profile CPU heat sinks. 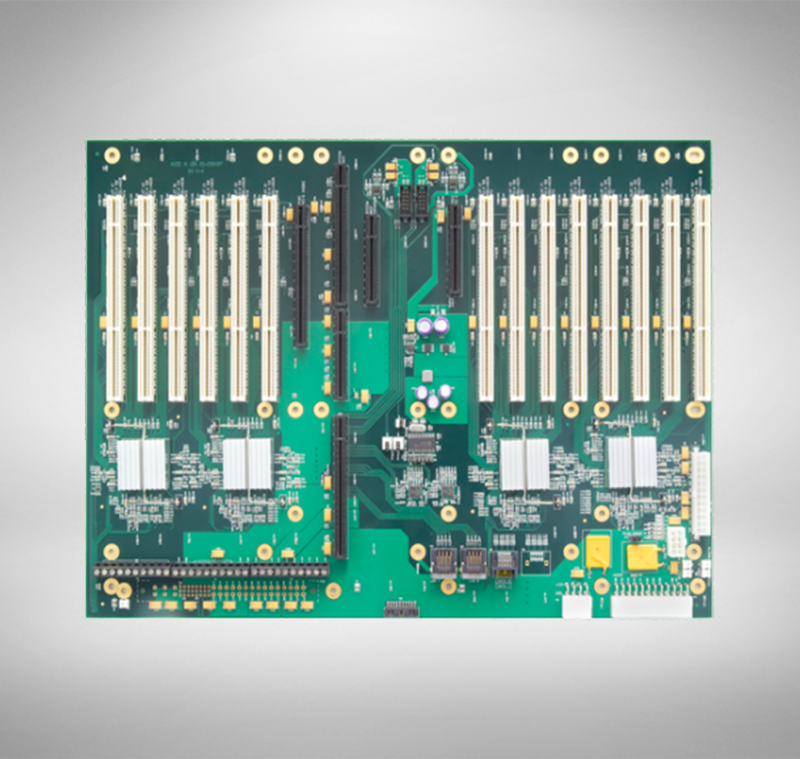 This backplane was designed to support the legacy SLT, SLI, and TML PICMG 1.3 single board computers. 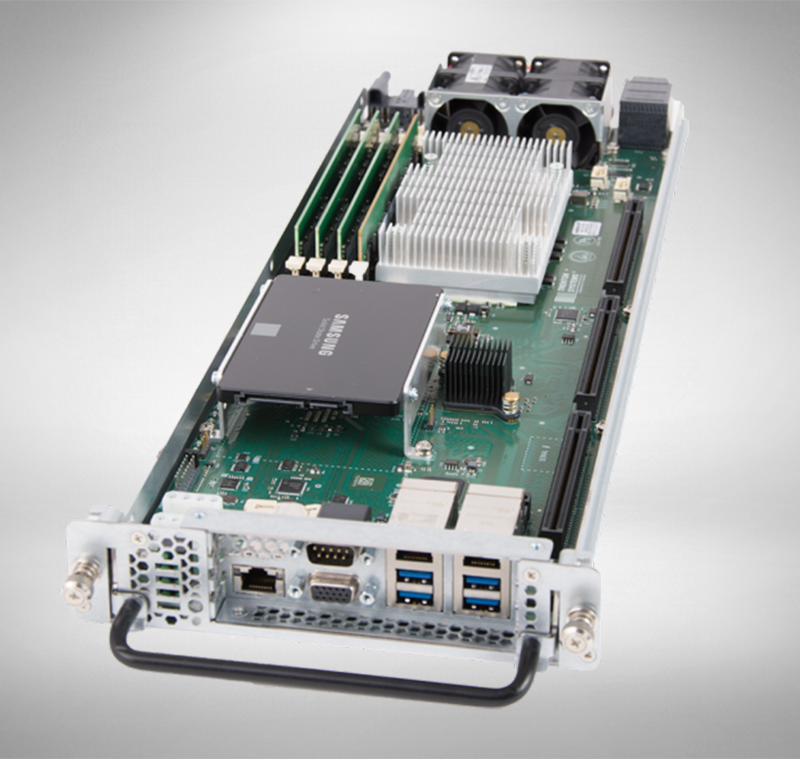 The legacy BPG6544 supports one single board computer, an IOB33 PCIe link expansion module, two PCI Express, five PCI-X, two PCI, and two ISA plug-in I/O cards. 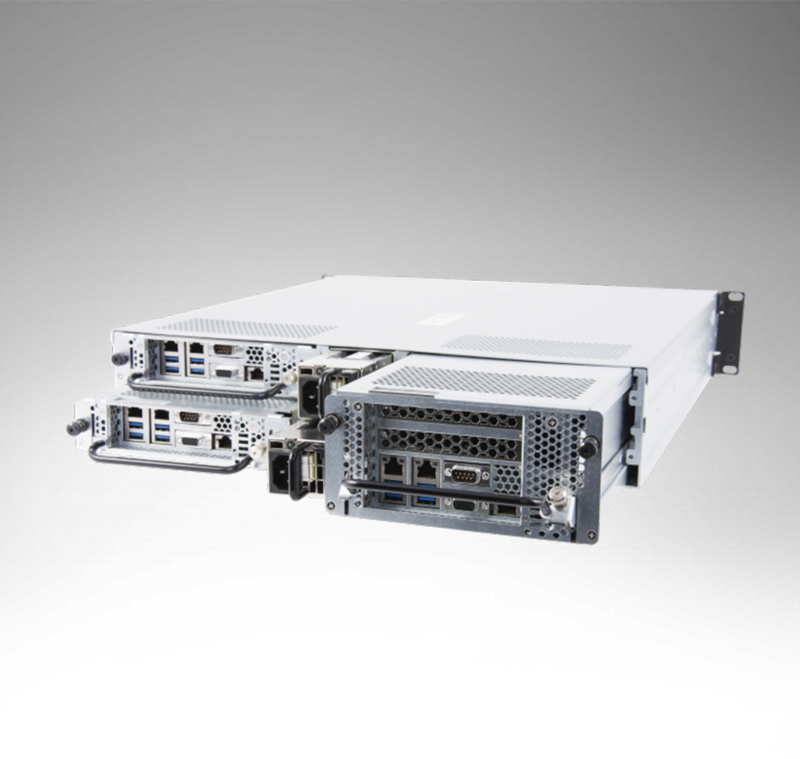 The unique backplane design places the PICMG 1.3 SBC slot near the center of the backplane to enable more efficient air flow within a rackmount computer chassis. 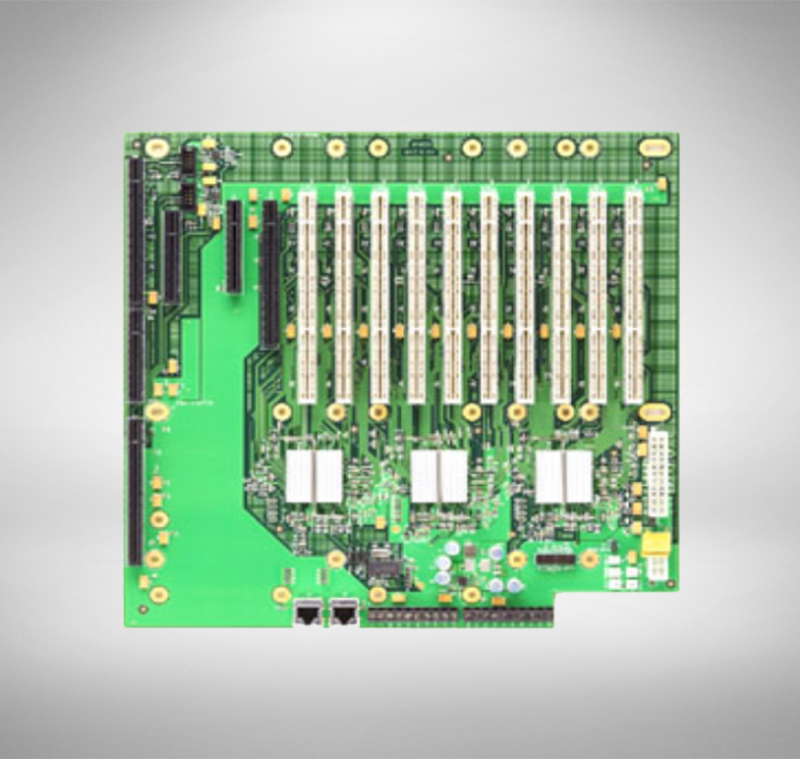 The BPX5 PCI Express backplane is a small form factor backplane designed to fit into a small chassis or embedded in an OEM machine. 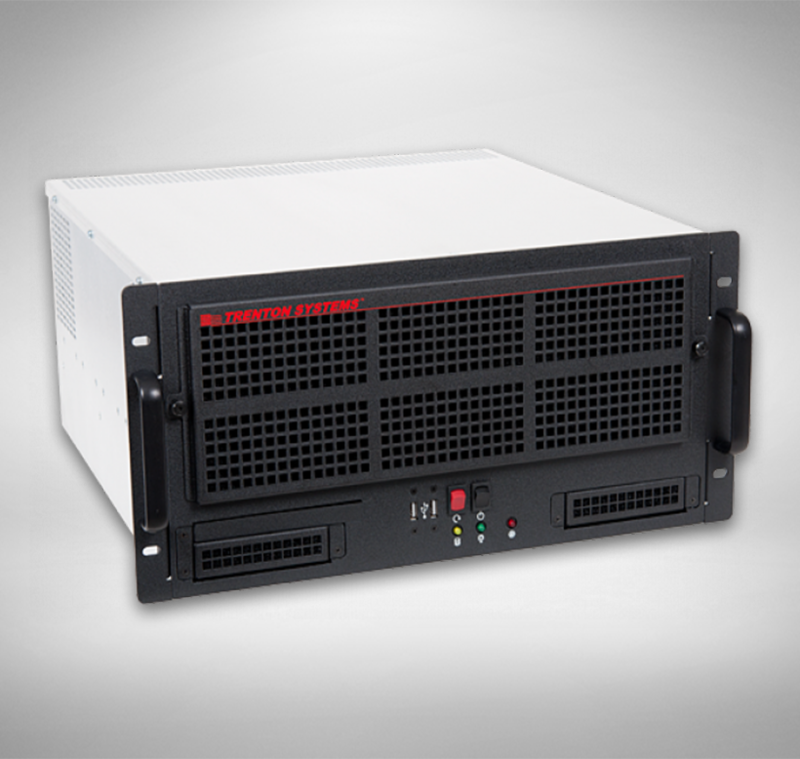 The BPX5 also provides the capability for rackmount computer and storage system designs to support multiple small form factor backplanes/single board computers within a single enclosure. 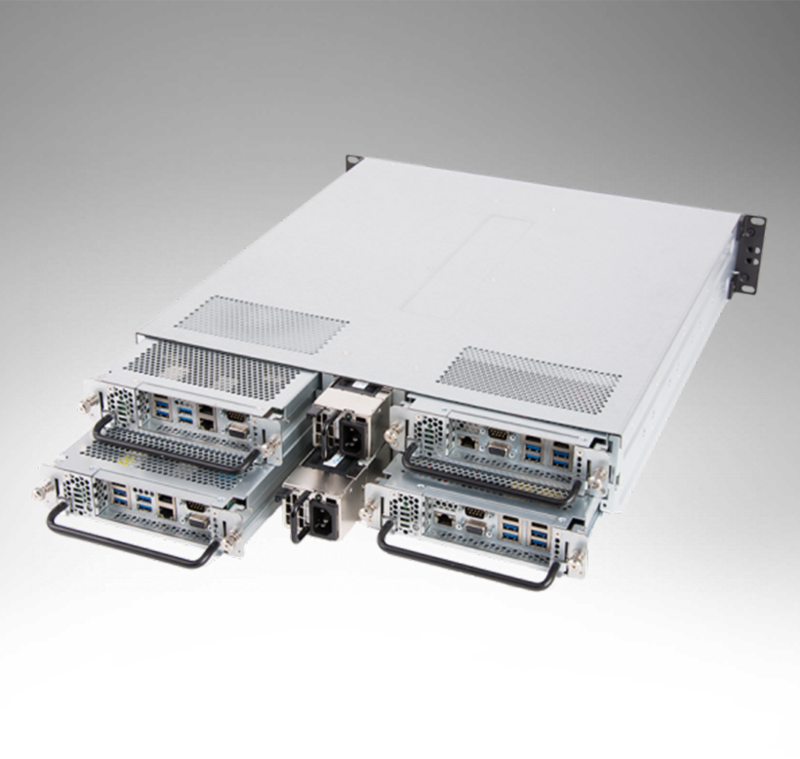 The small or shoebox form factor also provides the capability for rackmount computer and storage system designs to support multiple small form factor backplanes / single board computers within a single enclosure. 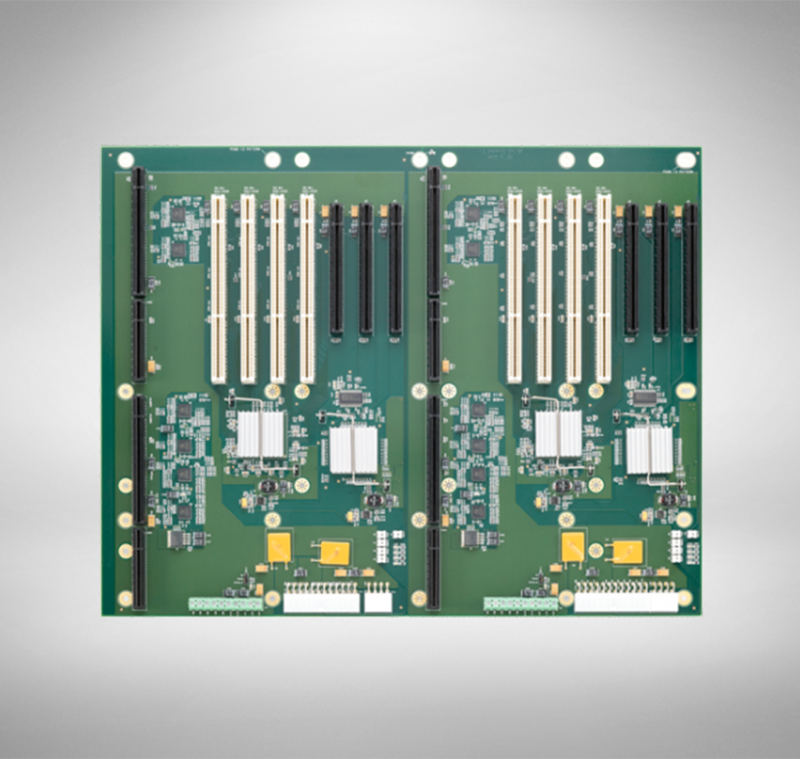 The BPG4 PCI Express backplane supports a single or dual-processor SBC and up to three standard PCI Express plug-in I/O cards. 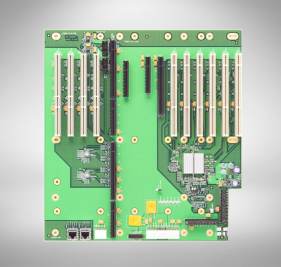 Trenton’s BPX3/14 PCI Express backplane provides electrical connections for a single or dual-processor single board computer, one IOB33 PCIe link expansion module, two PCI Express and fourteen PCI-X/PCI plug-in I/O cards. 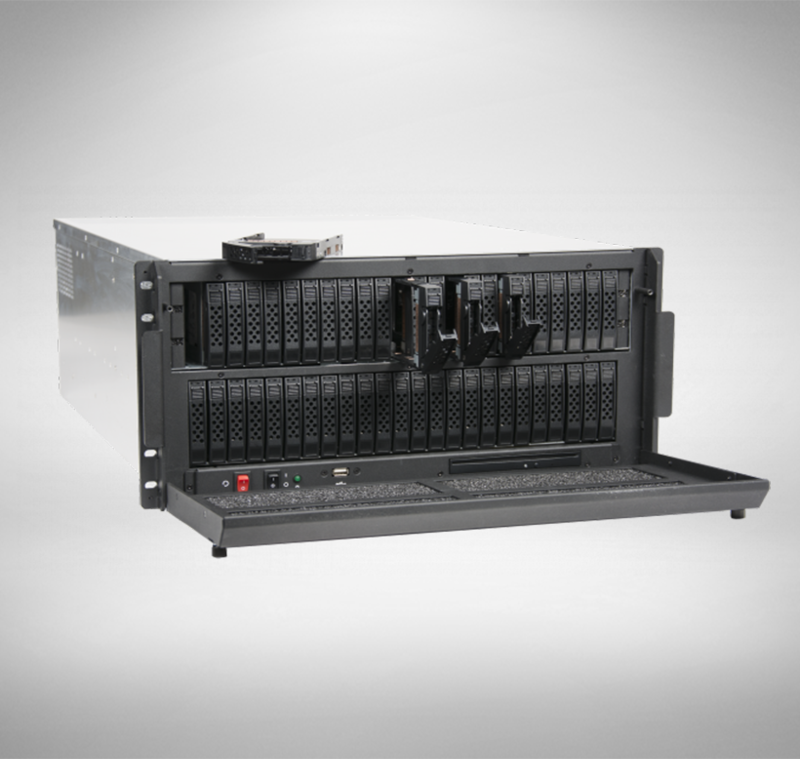 The backplane design places the SBC slot near the center of the backplane to enable more efficient air flow in a rackmount enclosure. 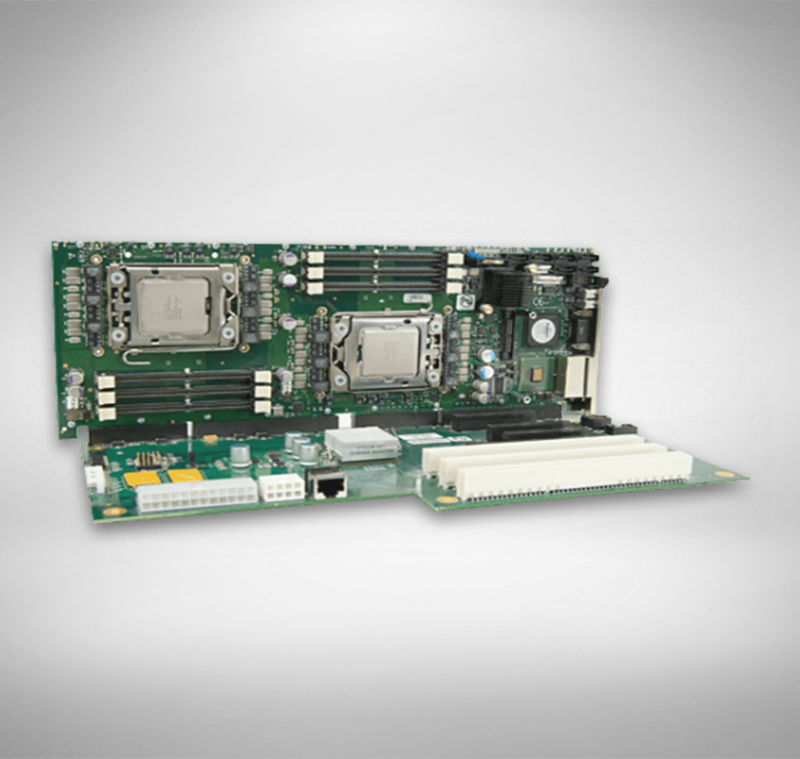 The Trenton ExtendedATX WTM7026 embedded motherboard features two long-life, six or four-core Intel® Xeon® processors. 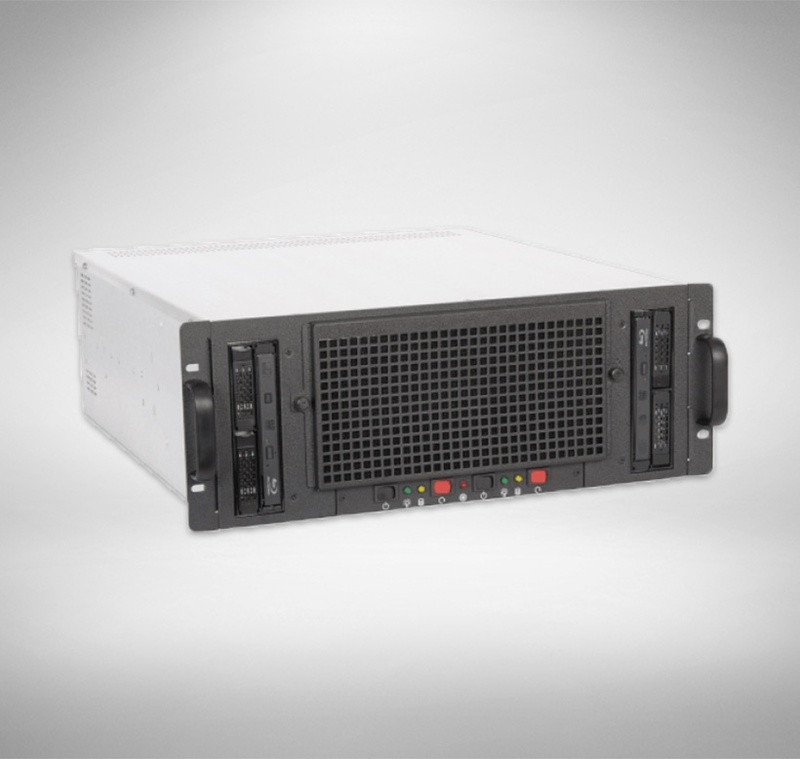 The WTM7026 supports the Intel Xeon Series E5600 processors developed under the Westmere code name and features seven PCI Express plus a PCI slot for plug-in I/O cards. 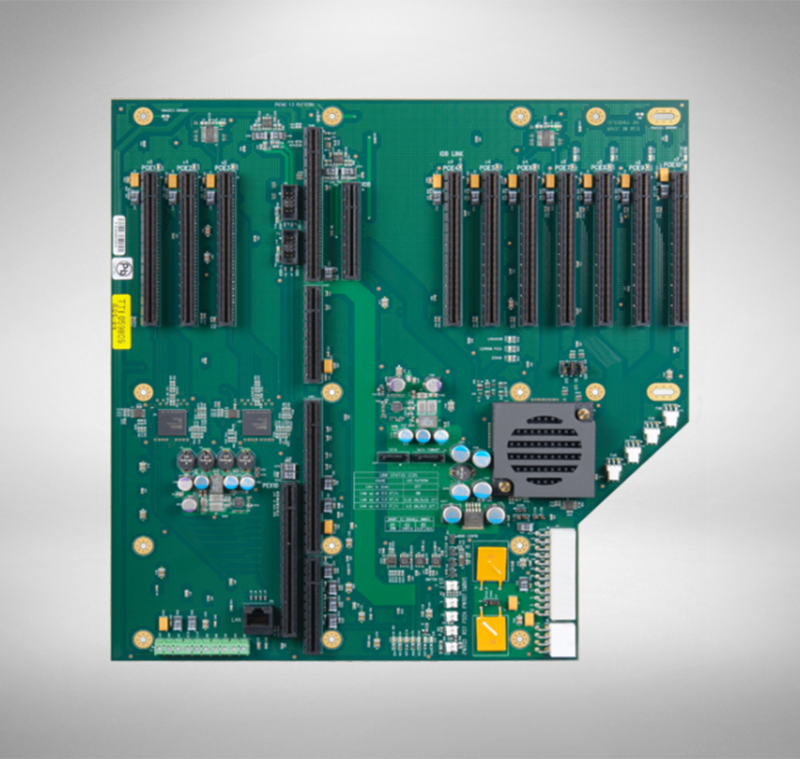 Up to 96GB of DDR3-1333 system memory is supported on the motherboard. 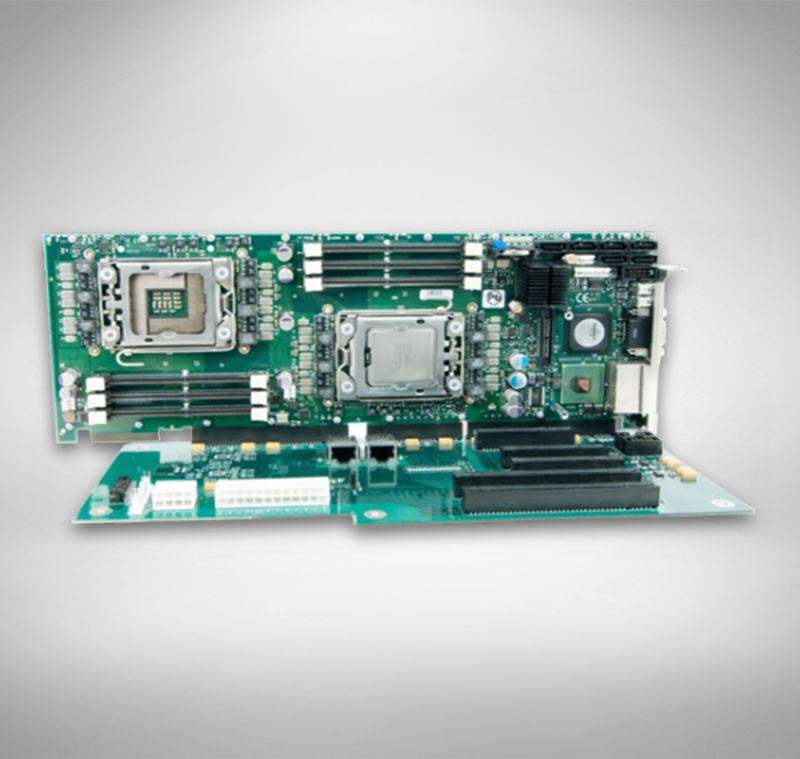 The Trenton ExtendedATX NTM6900 embedded motherboard features two long-life quad-core Intel® Xeon® Series 5500 processors that were developed under the Nehalem code name. 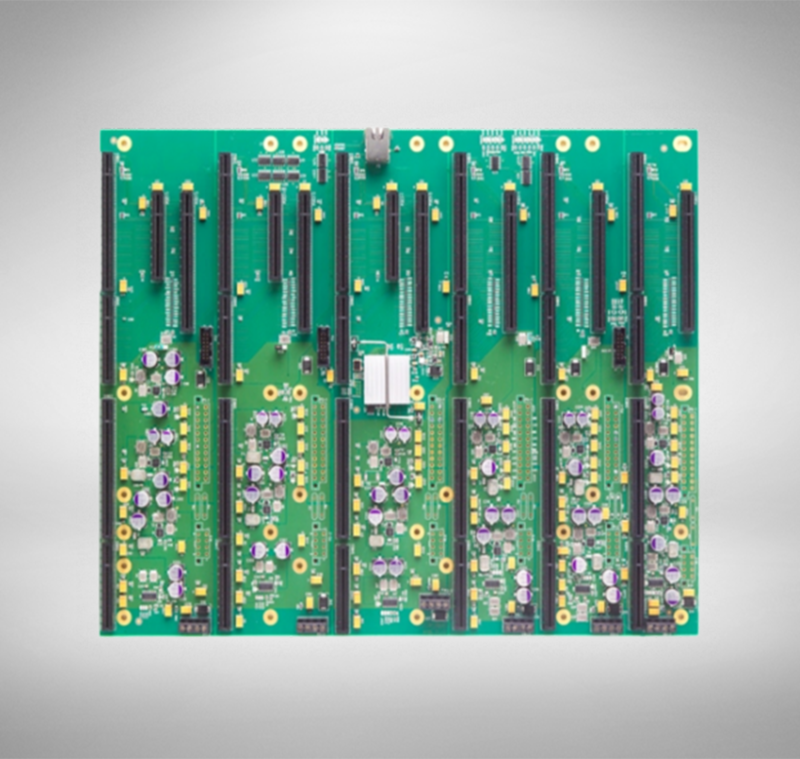 The motherboard features seven PCI Express plus one PCI slot for plug-in I/O cards, and up to 96GB of DDR3-1333 system memory. 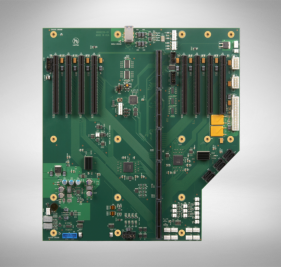 The THD8141 single board computer design utilizes PCIe 3.0 link retimers to ensure maximum single integrity between the processors’ native PCIe Gen3 links on the SBC and an I/O plug-in card located in a backplane slot farthest from the PCI Express root complex. 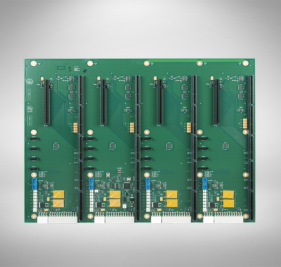 The SBC’s external I/O card interfaces adapt to PCIe 3.0, PCIe 2.1/2.0 and PCIe 1.1 plug-in cards with either a x16, x8, x4 or x1 PCI Express edge connector. 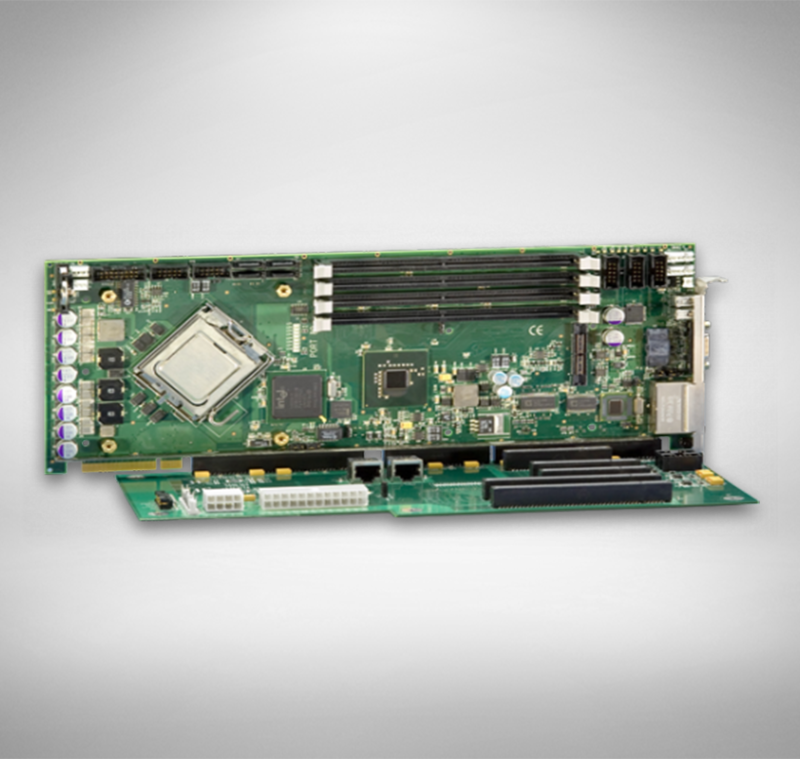 The BXT7059 single board computer from Trenton Systems is a dual-processor PICMG 1.3 SBC featuring the Intel® Xeon® E5-2400 v2 series processors and native support for PCI Express 3.0 I/O cards. 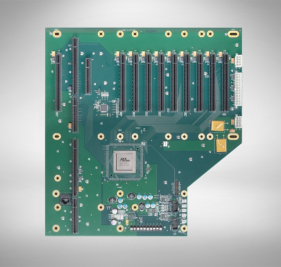 The 22nm Intel® Micro-Architecture design of the Intel® Xeon® E5-2400 v2 series processors saves power while providing a performance boost over the previous generation Intel® Xeon® E5-2400 series processors built on a 32nm micro-architecture. 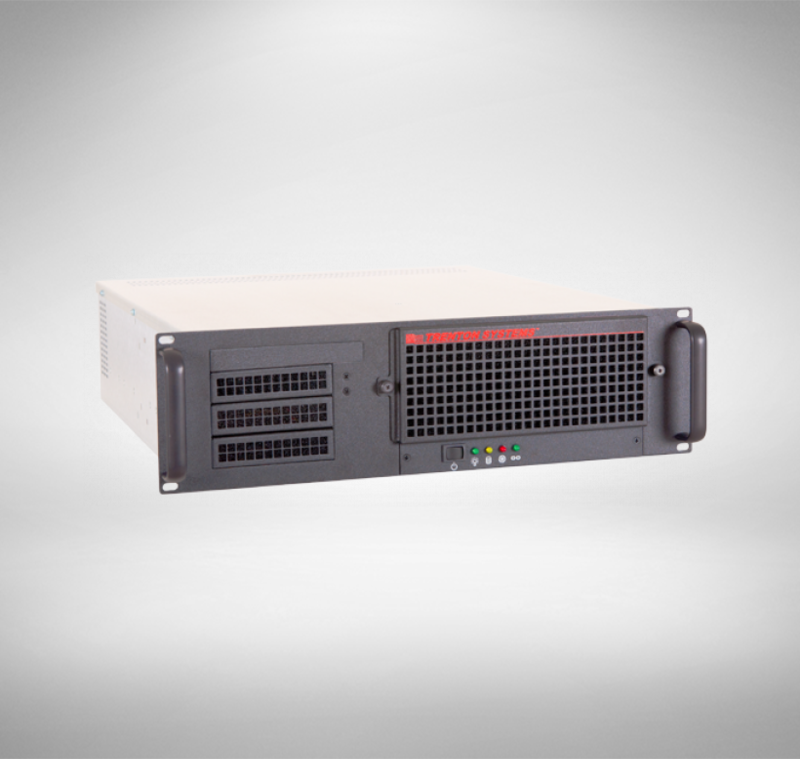 Developed under the Intel® 22nm Micro-architecture (Ivy Bridge), the board supports up to 32GB of DDR3 system memory, DVI-D and analog video, plug-in PCIe Mini Cards and multiple I/O and communication interfaces including PCI Express 2.0. 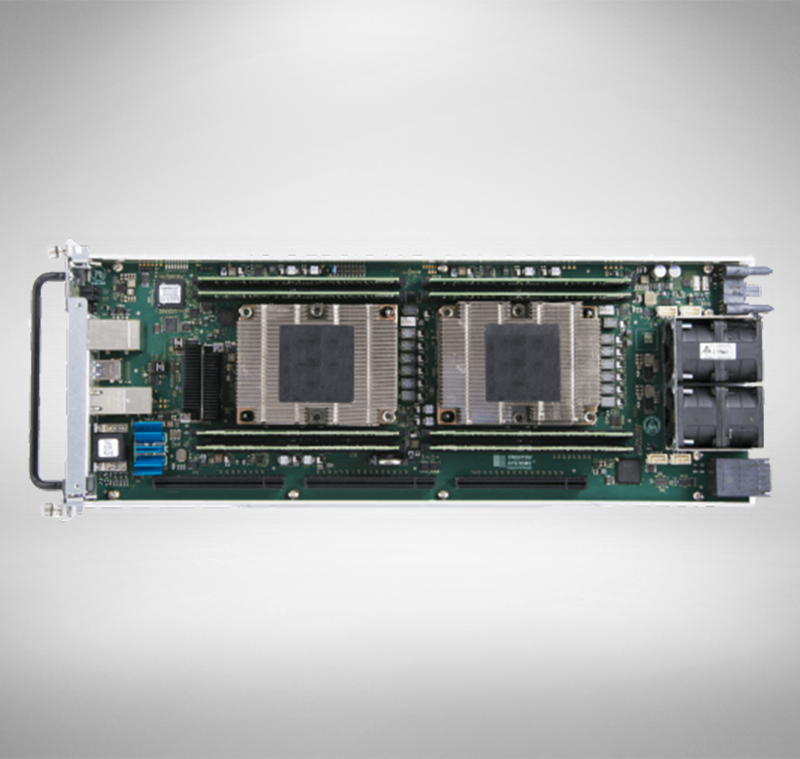 A dual-processor PICMG 1.3 SBC featuring Intel® Xeon® C5500 processors and support for PCI Express 2.0 I/O cards. 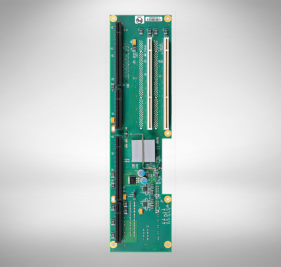 This single board computer supports DDR3-1333 Mini-DIMMs and maximum system memory capacity of up to 48GB. 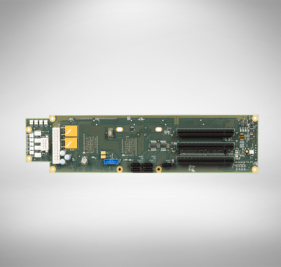 The JXT6966 SBC features SATA/300 ports, multiple I/O and communication interfaces including PCI Express 2.0. 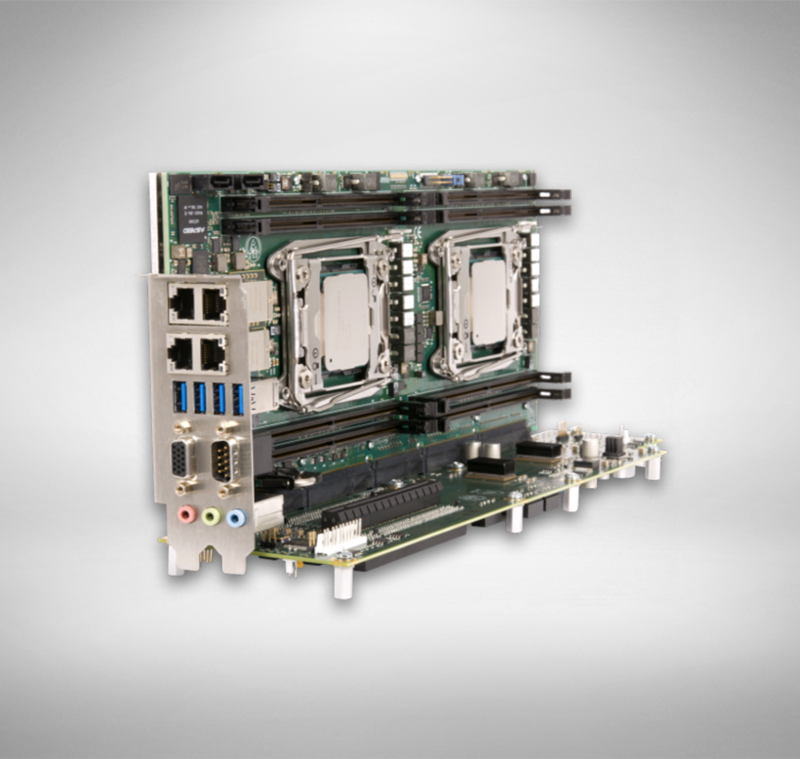 Supports a variety of multi-core Intel® processors. 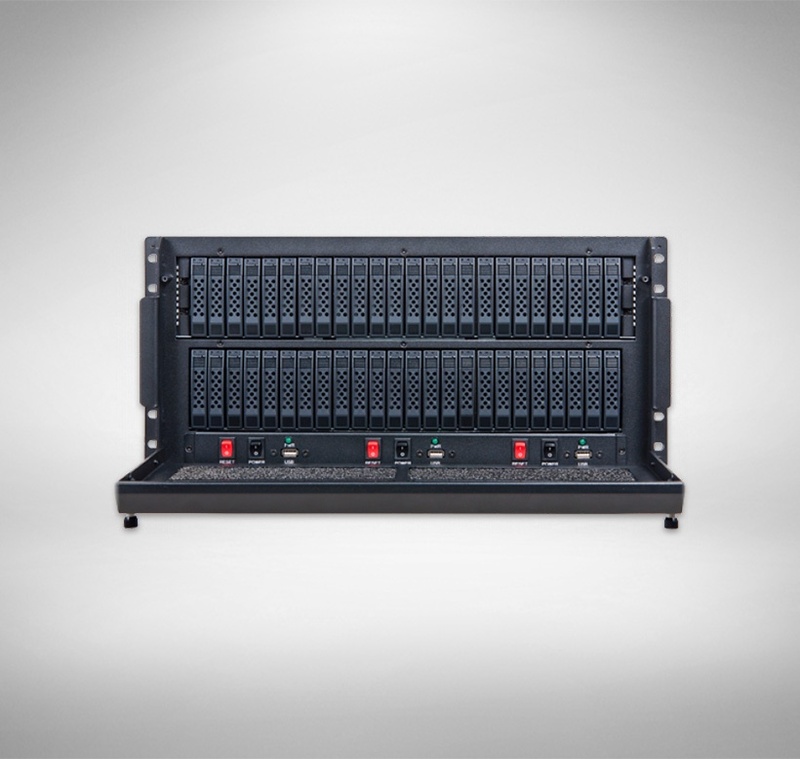 TQ9 I/O interface capabilities include an audio codec interface, two eSATA connections to a PICMG 1.3 backplane and a dozen USB interfaces. The embedded Intel® Q35 MCH and Intel® ICH9DO ICH deliver advanced features such as 1333MHz system bus and SATA RAID. 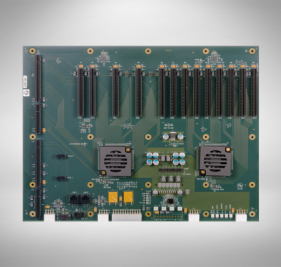 Plugging the TQ9 single board computer into a PICMG 1.3 graphics-class backplane enhances system design flexibility. 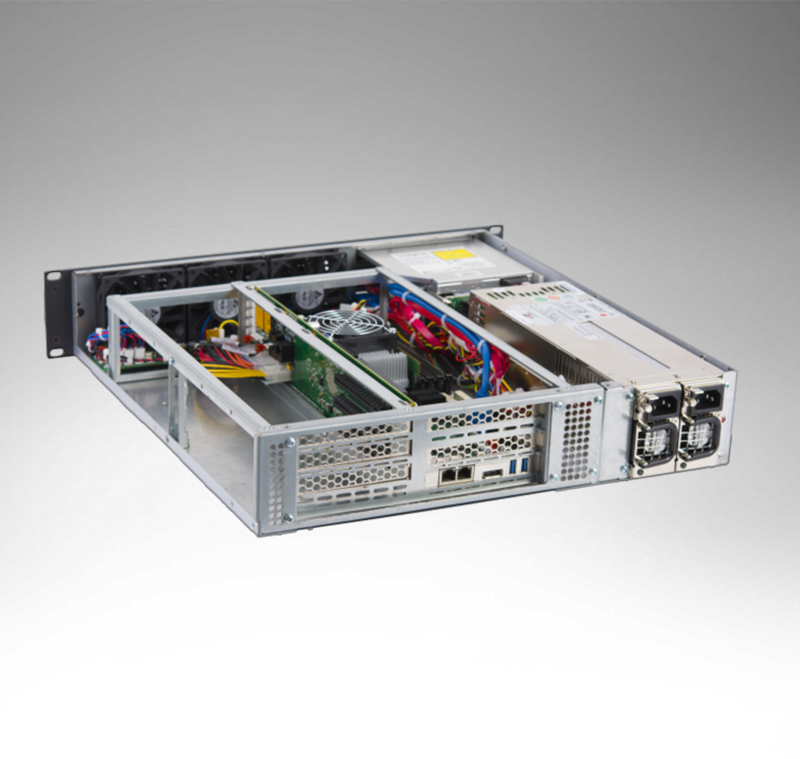 A system designed with the TQ9 supports option cards from x16 PCI Express to legacy 32-bit/33MHz PCI cards. 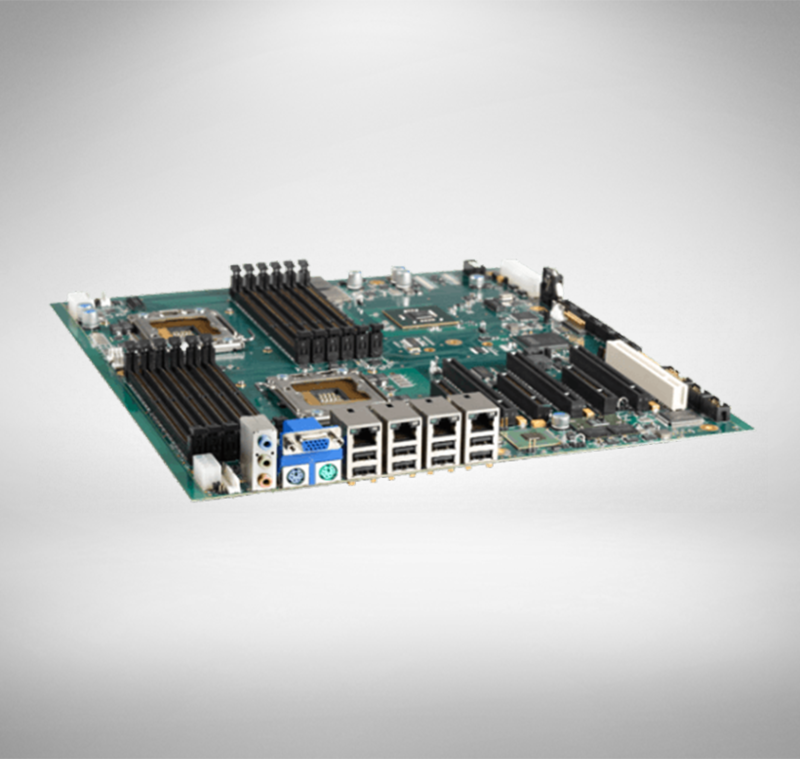 The JXTS6966 single board computer from Trenton Systems is a single-processor PICMG 1.3 SBC featuring an Intel® Xeon® C5500 processor and support for PCI Express 2.0 I/O cards. 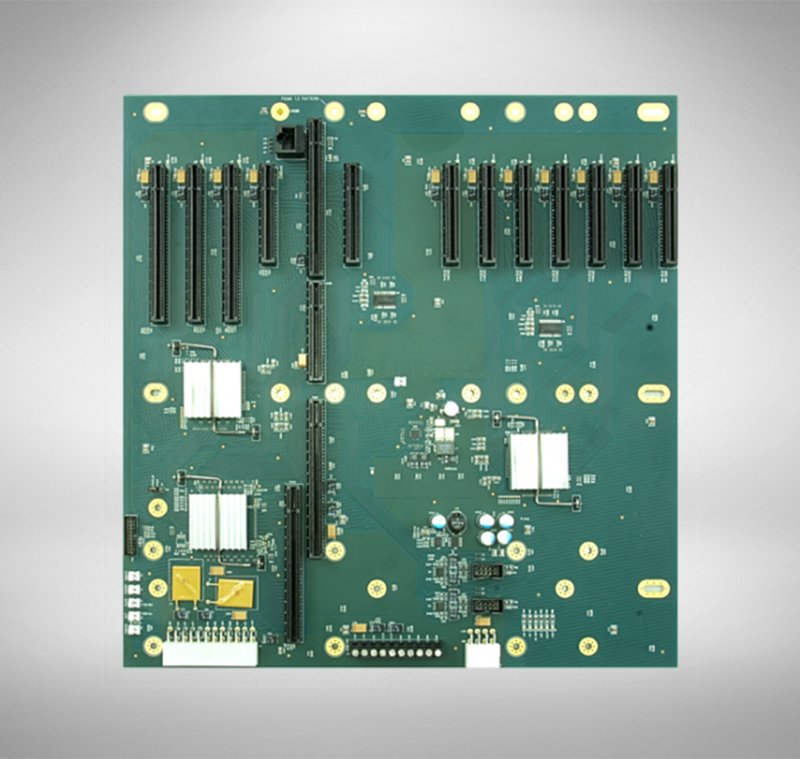 This single board computer supports DDR3-1333 Mini-DIMMs for a maximum system memory capacity of 24GB and features SATA/300 ports, multiple I/O and communication interfaces including PCI Express 2.0. 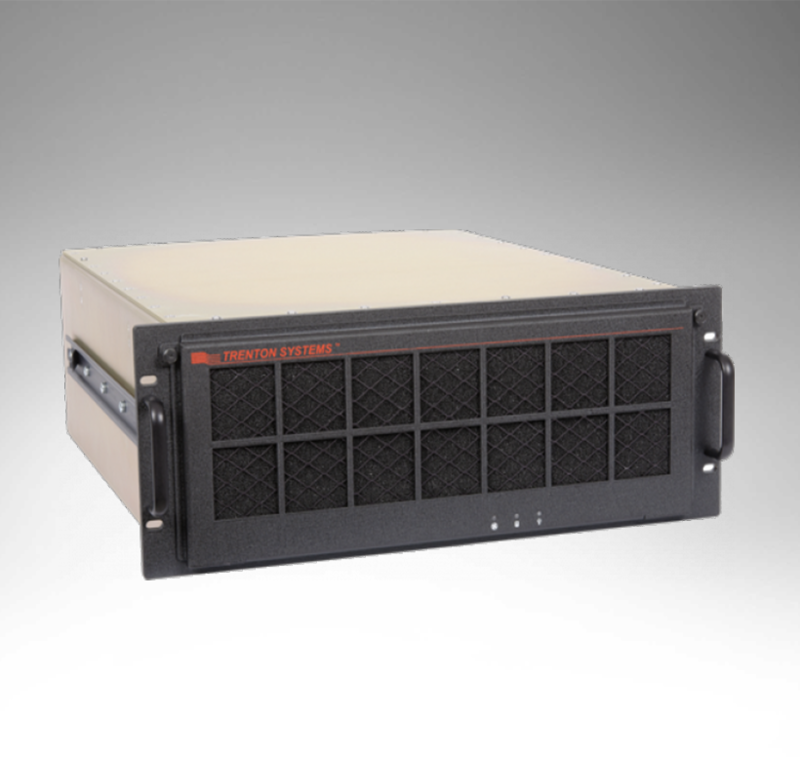 The legacy NLT was Trenton's first dual-processor PICMG 1.3 single board computer. 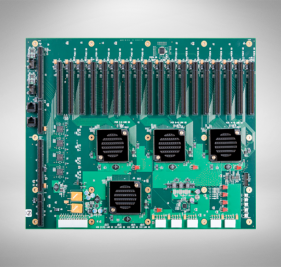 The legacy NLI single board computer is a single-processor version of the NLT PICMG 1.3, dual-processor SBC. 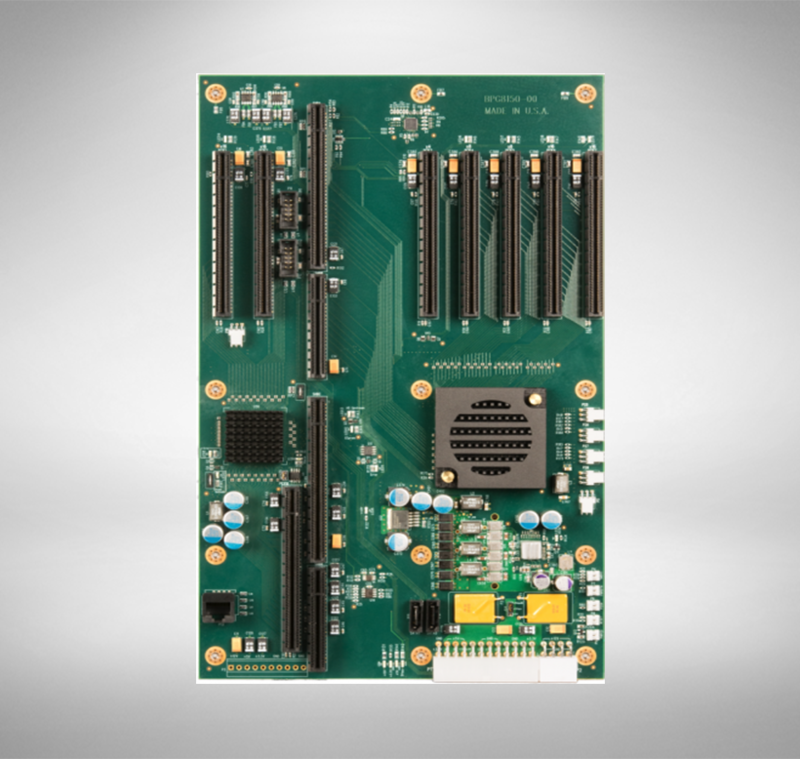 The legacy MCGT is a dual-processor PICMG 1.3 single board computer that supports graphics-class computing applications and provides dual and quad-coree processor options. 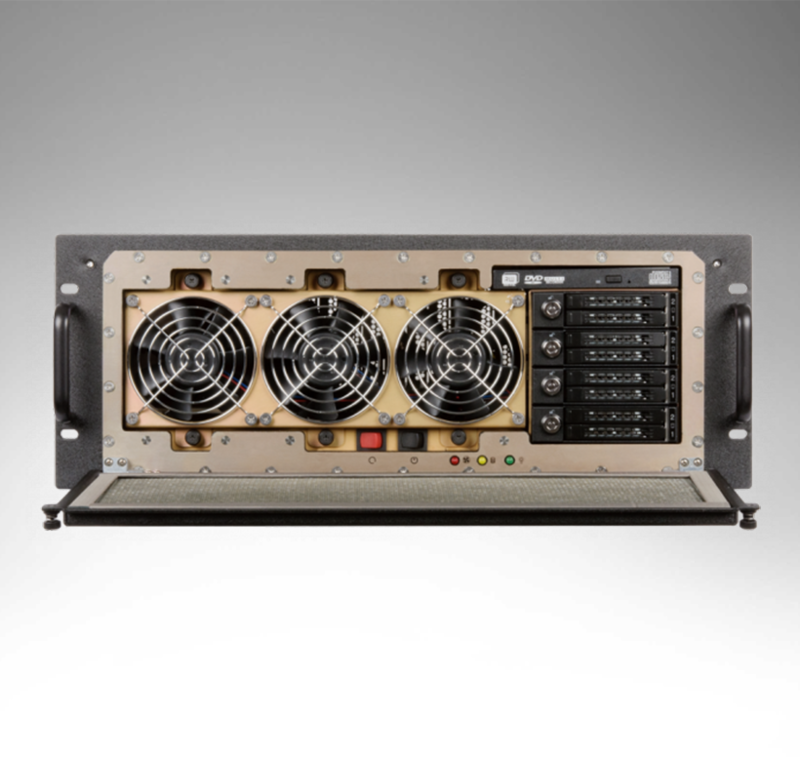 Note: The MCG series of SBCs is similar to the MCX series. 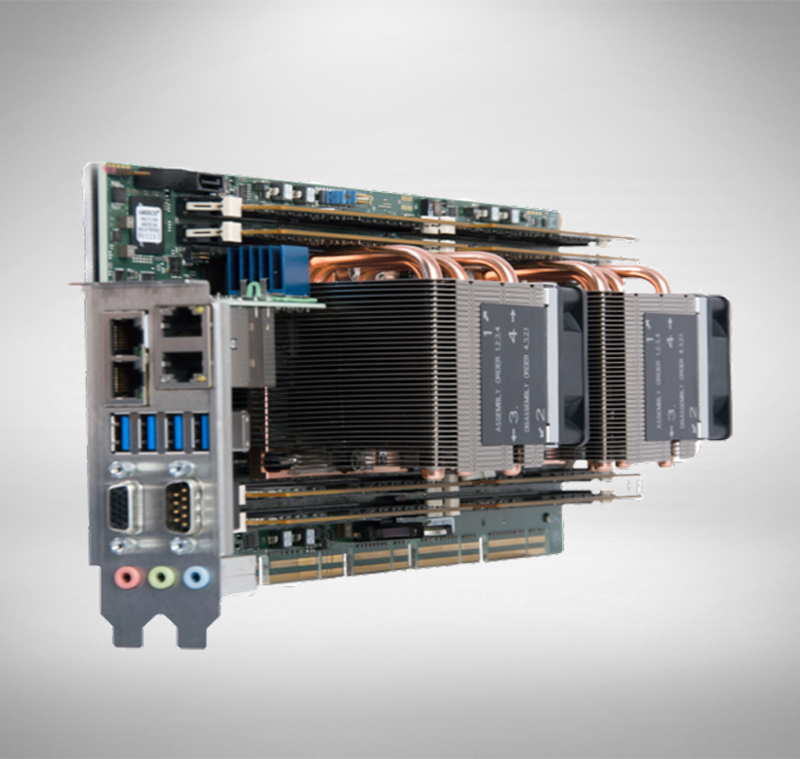 The MCG series uses a different Intel chipset in order to support a x16 PCIe link to a PICMG 1.3 backplane. 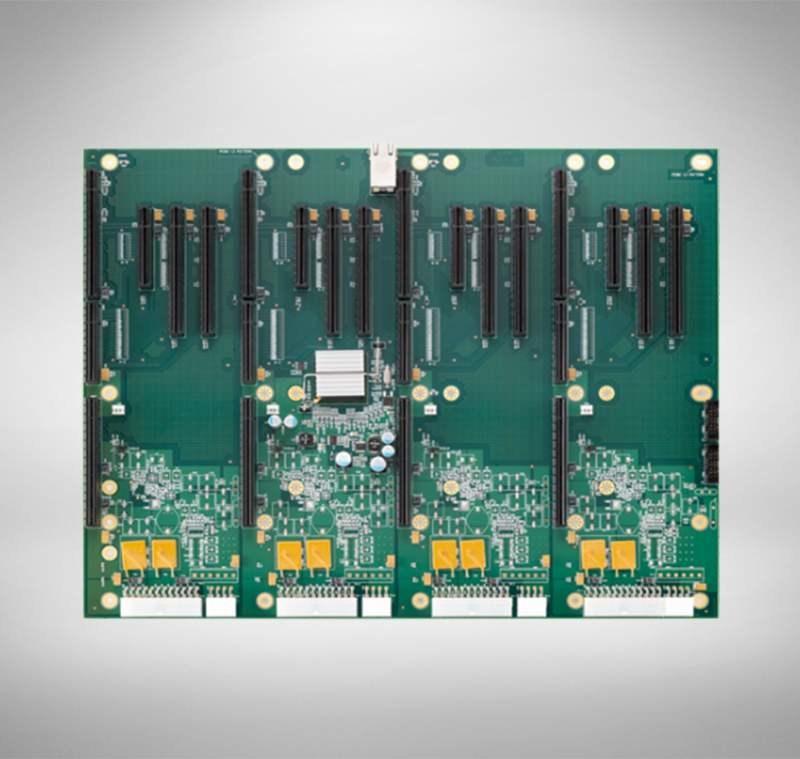 The legacy SLT single board computer features two, power efficient, dual-core processors that together provide four execution cores per SLT. 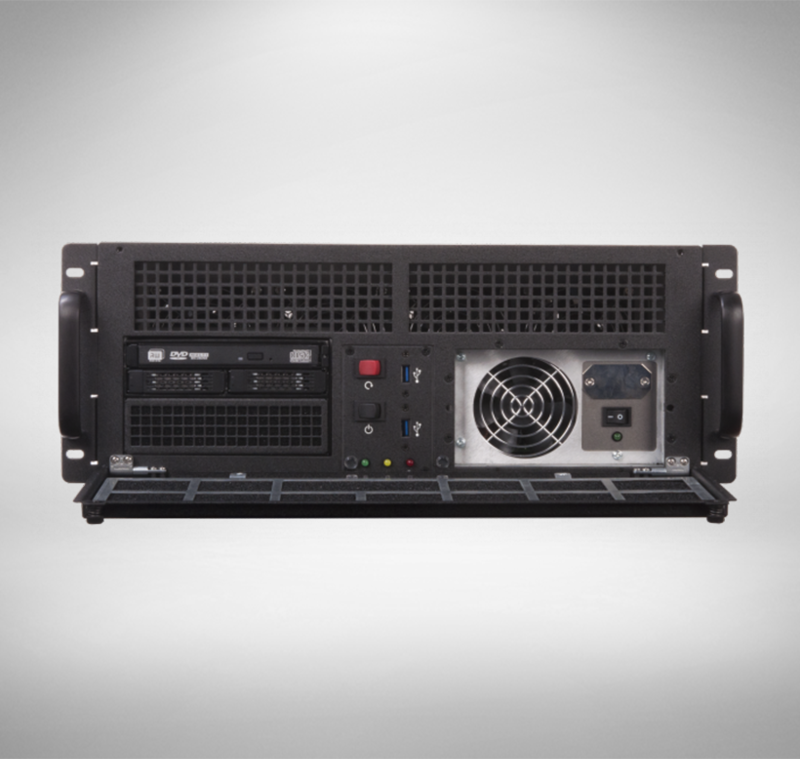 The SLT’s two Dual-Core Intel® Xeon® LV Processor 2.0GHz CPUs consumes about half as much power as compared to other Intel Xeon processors of its time. The SLT is a PICMG® 1.3 SBC that supports PCI Express, PCI and PCI-X option cards on a PICMG 1.3 server-class backplane. 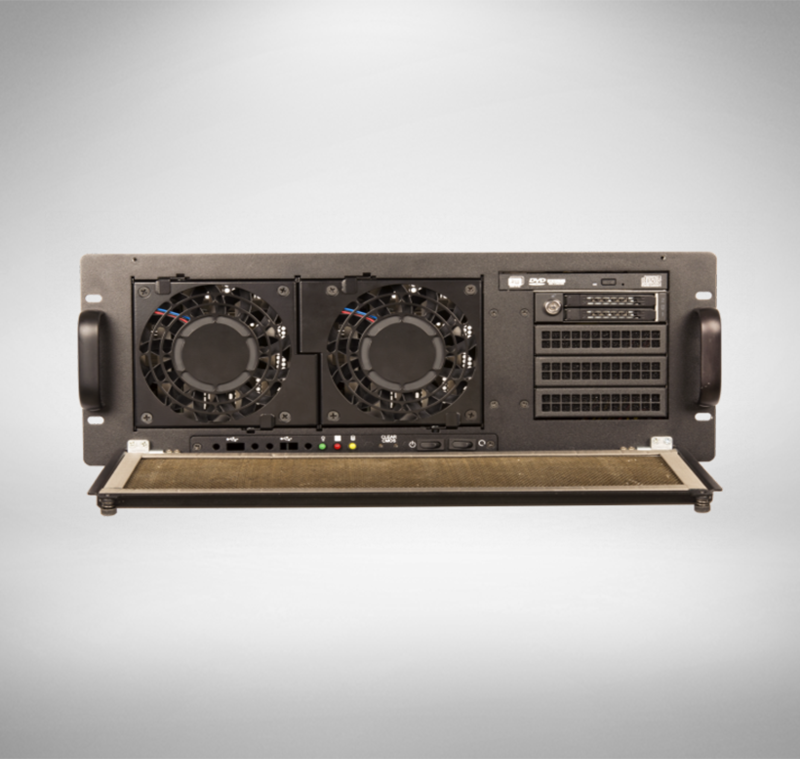 The Legacy SLI single board computer is a single-processor version of the legacy SLT. 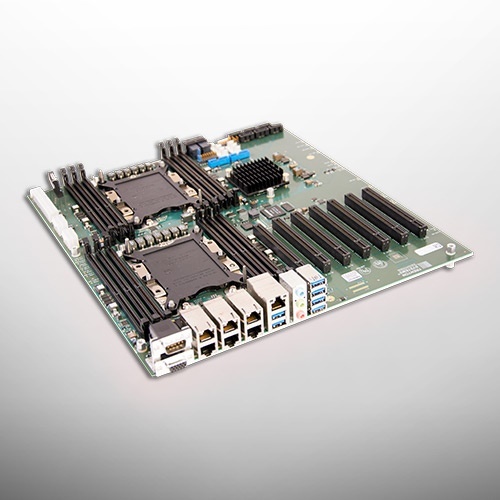 Trenton’s MCXT single board computer is a PICMG® 1.3 dual-processor SBC configuration designed to excel in the most demanding server-class computing applications. 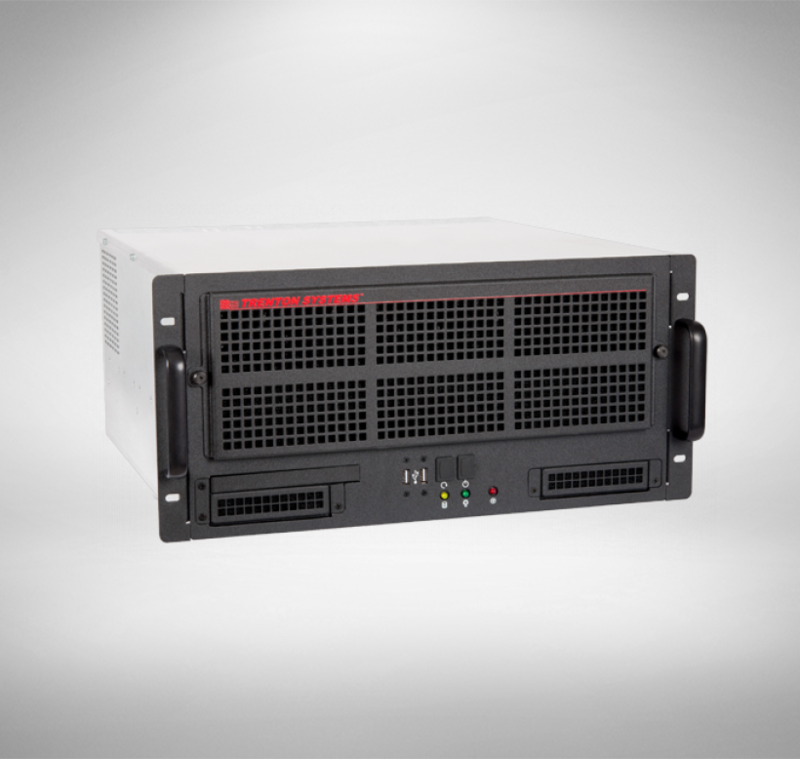 The MCXT’s processor configuration provides two Quad-Core processors with four execution cores per processor. 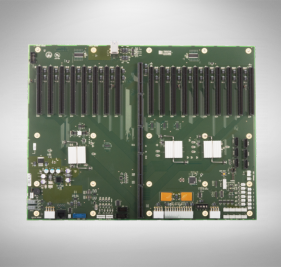 The MCXI legacy single board computer is a single processor version of the MCXT board. 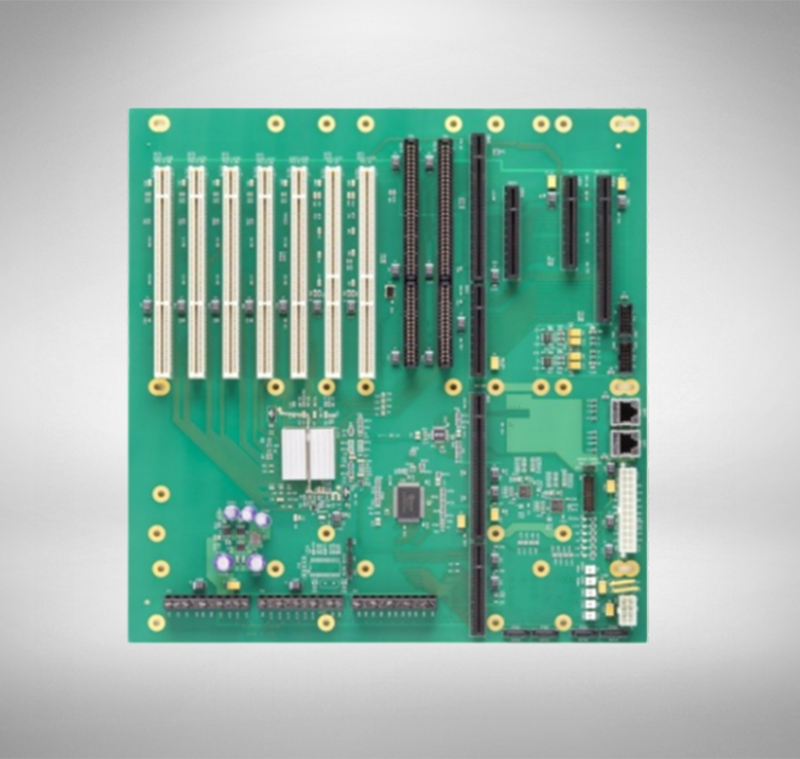 CPU1 is not populated on the MCXI board version. 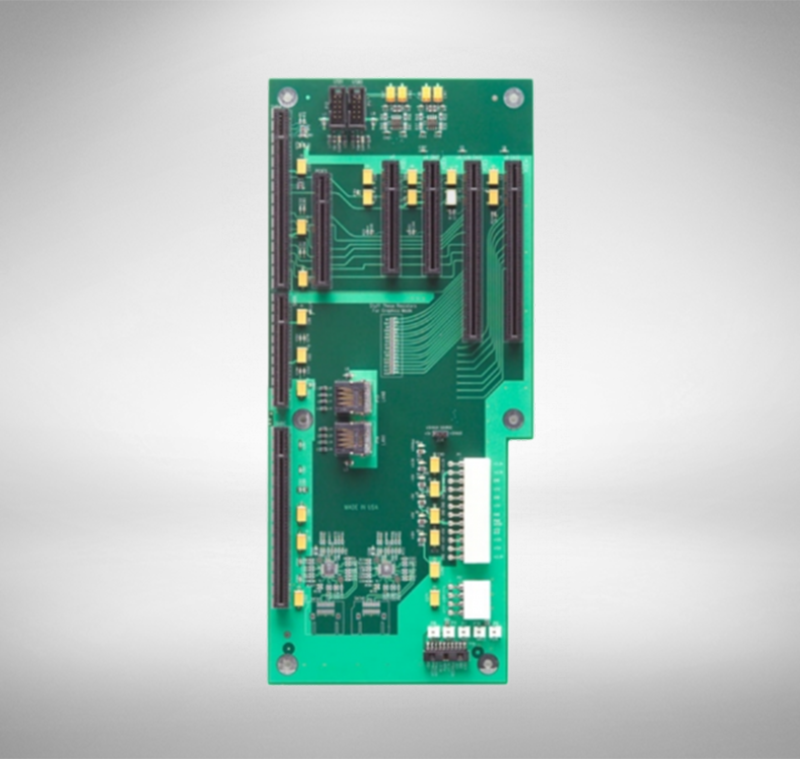 The legacy MCGI is a single-processor version of the legacy MCGT board. 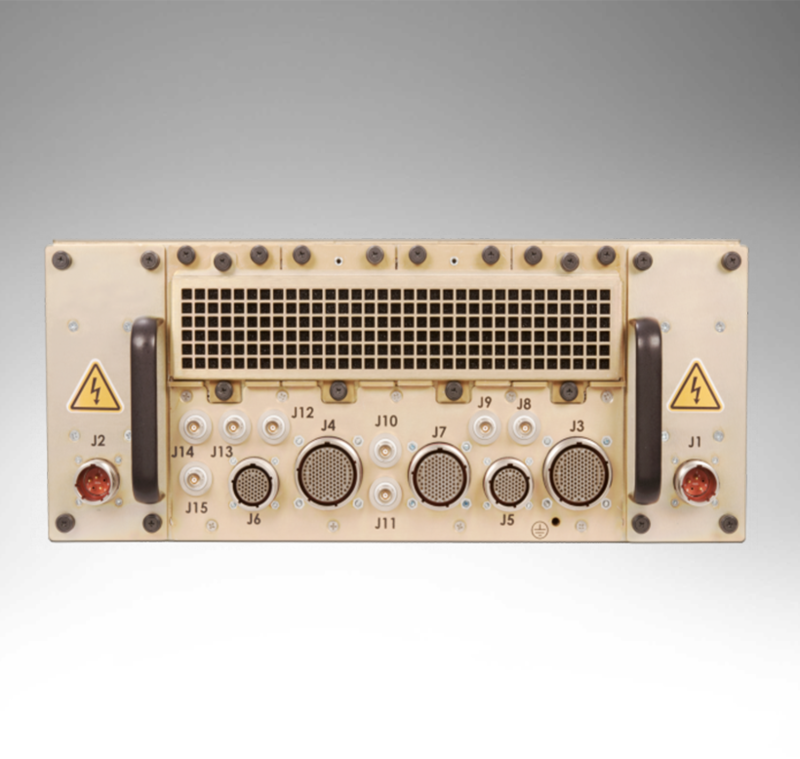 CPU1 is not populated on the MCGI board. 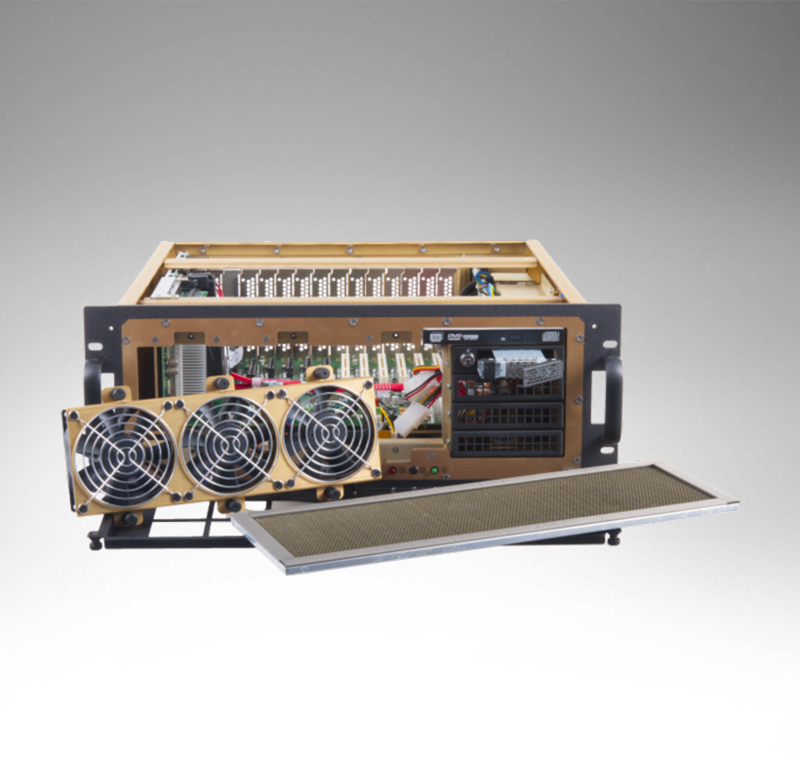 Note: The MCG series of SBCs is similar to the MCX series. 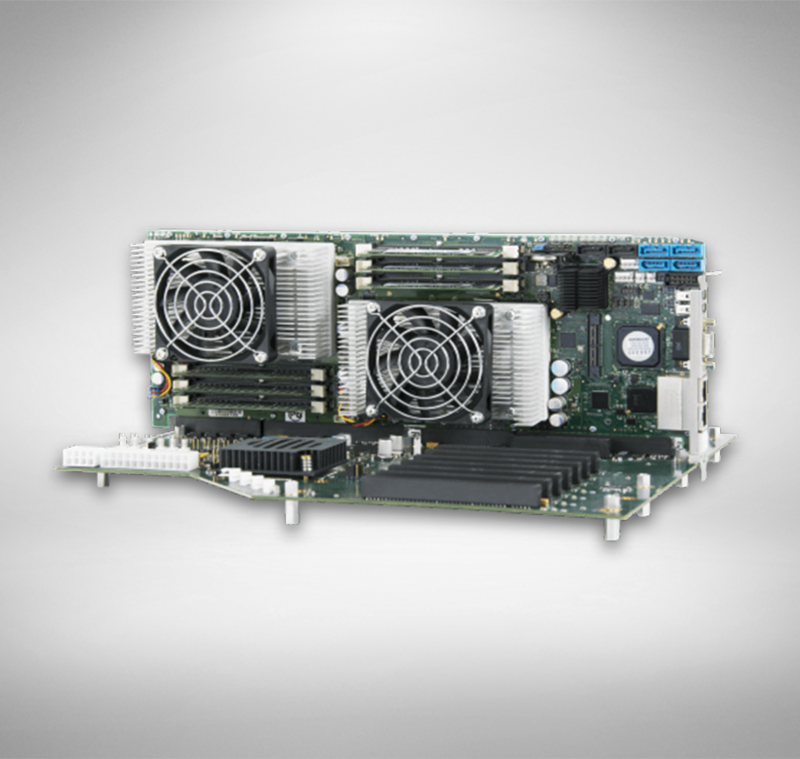 The MCG series uses a different Intel chipset in order to support a x16 PCIe link to a PICMG 1.3 backplane. 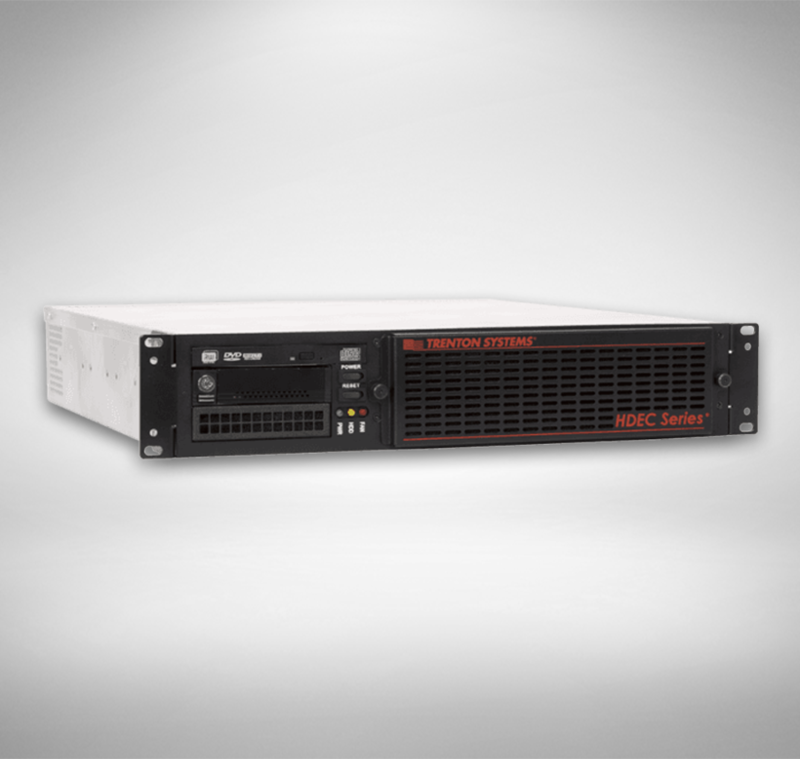 The Trenton TVC2404 rackmount video wall controller is a Matrox-validated video wall controller for use with up to three Matrox Mura MPX Series video controller boards. 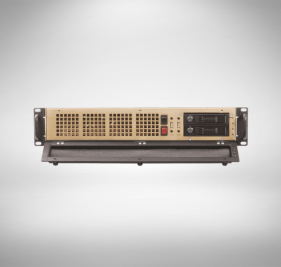 The compact chassis design of the TVC2404 rackmount video wall controller is ideal for mid-size video display wall applications. 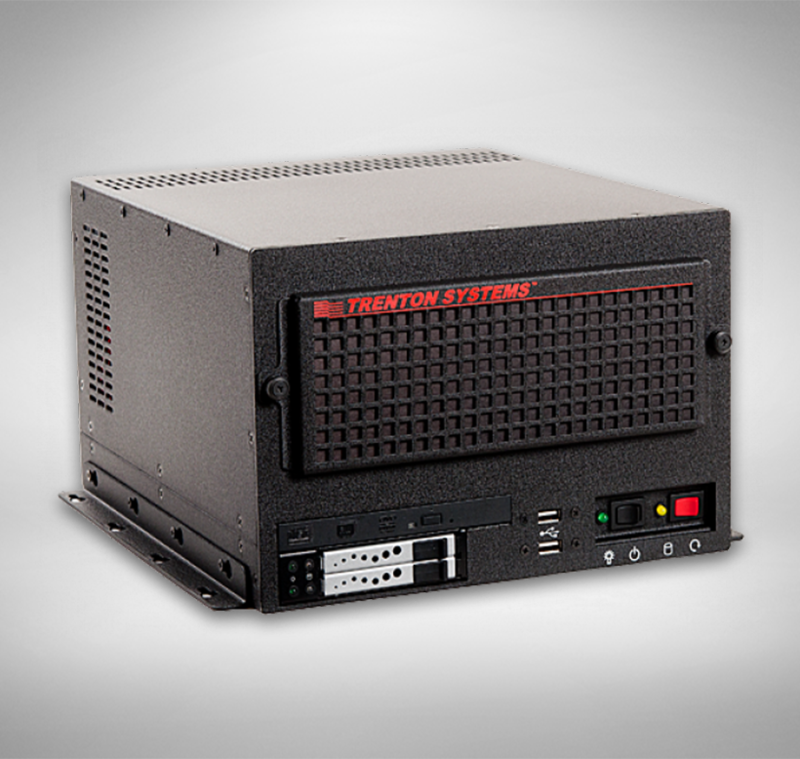 The TVC3400 Matrox-validated video wall controller is a CE-compliant, UL recognized low-profile, shelfmount / wallmount video controller featuring Trenton’s MicroATX motherboard (JXMS7031) and supports up to two Matrox Mura MPX Series boards using a flexible enclosure design that allows the video controller to be mounted in different orientations and in a variety of locations such as industrial automation and communications applications. 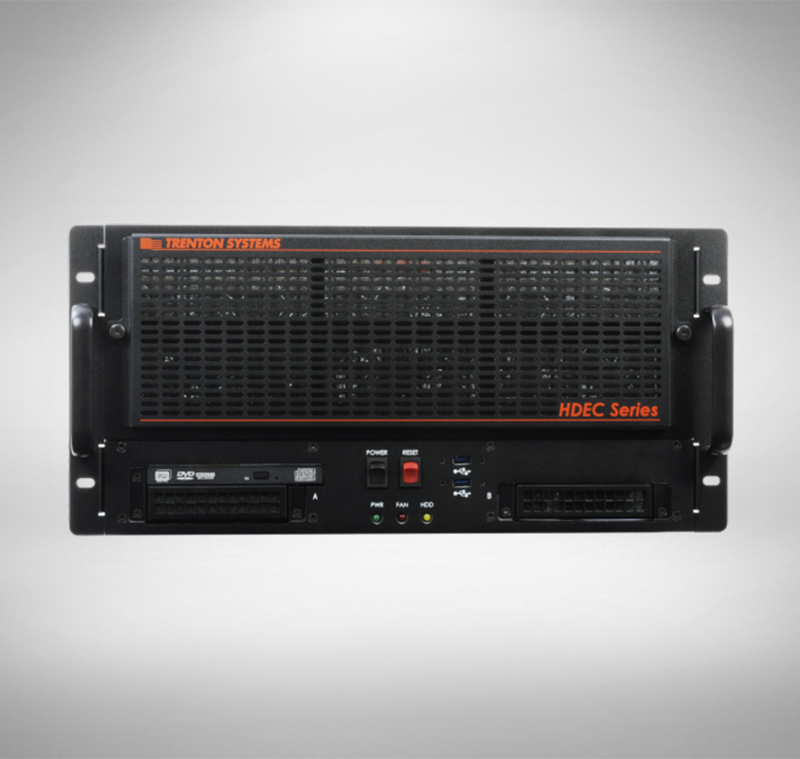 The TVC4400 Matrox-validated video wall controller features an enclosure design allowing the video controller to be mounted in different orientations and a variety of locations. 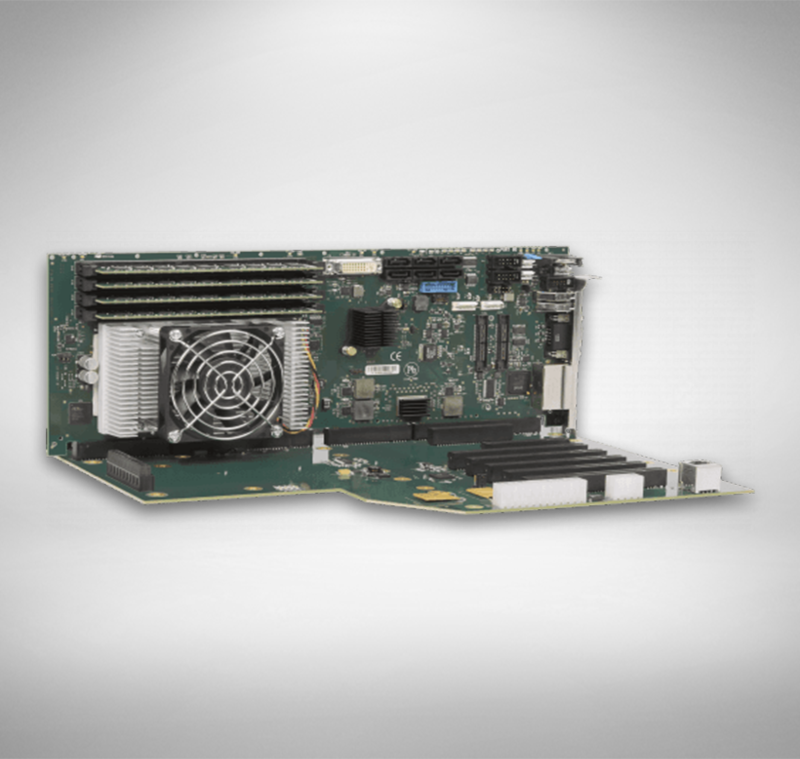 This solution eliminates the need for using a riser card while supporting two Matrox Mura MPX boards, and via the system’s single-processor JXMS7031 MicroATX (uATX) motherboard – ideal for a wide variety of applications requiring video display walls. 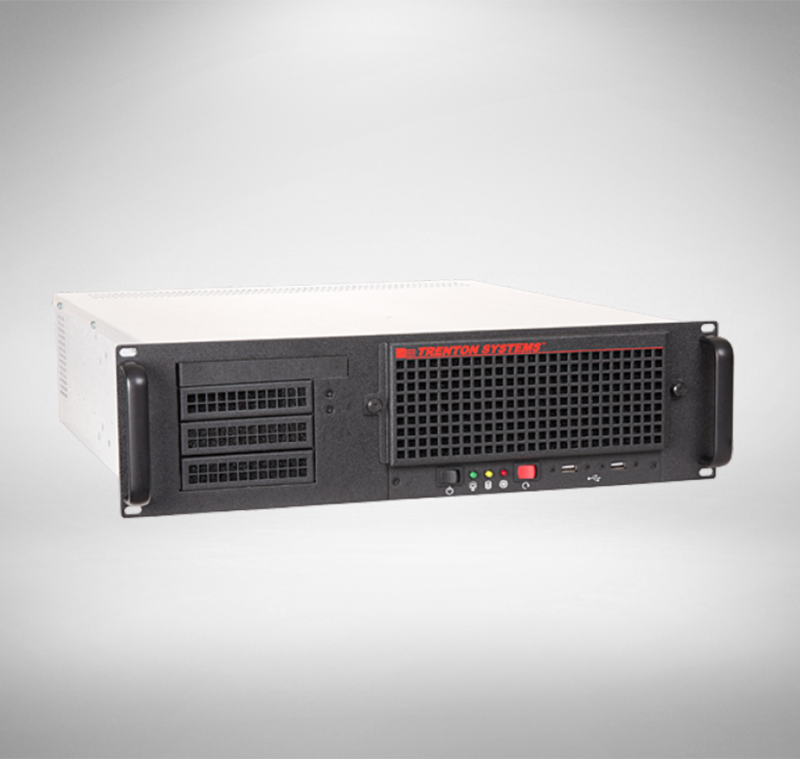 CE compliant, UL recognized and CCC approved video wall controller validated for use with up to nine Matrox Mura MPX Series video controller boards. 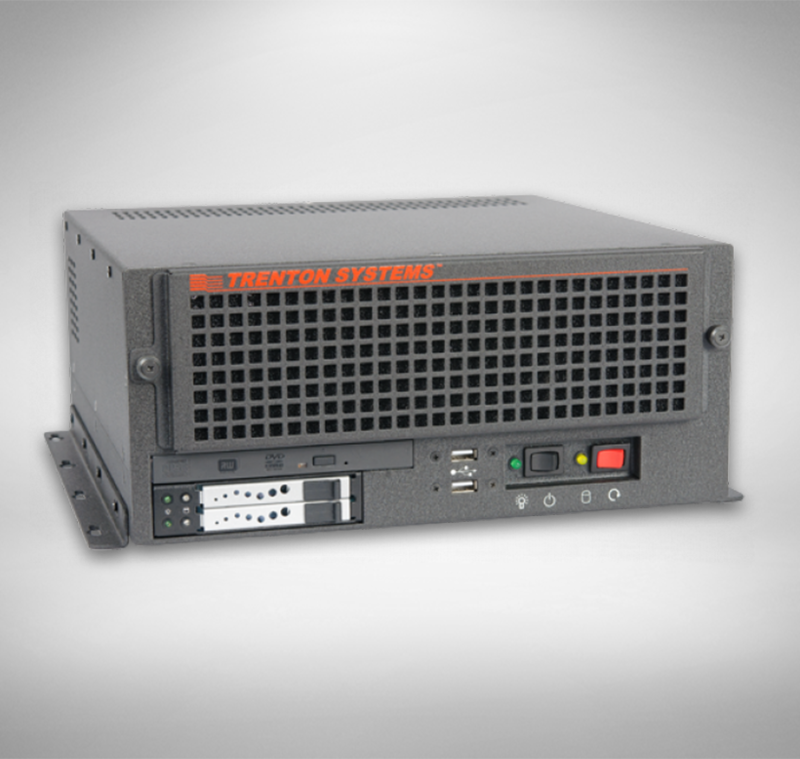 The TVC4403 now offers a choice between Trenton’s TSB7053 single board computer featuring the Intel® Core™ i7 processor or a Trenton JXTS6966 with a quad-core Intel® Xeon® processor. 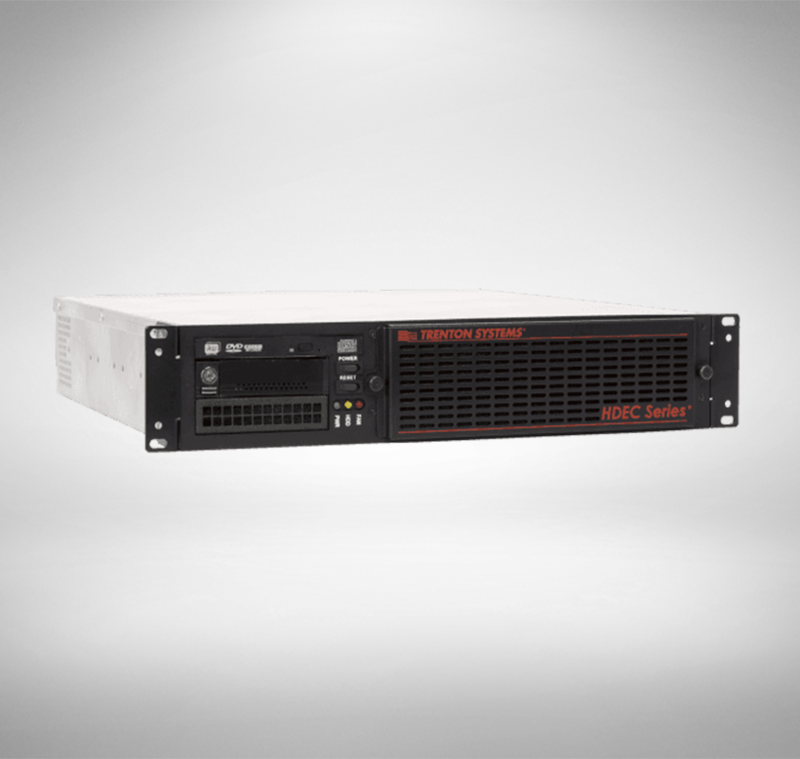 Both SBC options utilize a Trenton BPG7087 PCI Express 2.0 backplane, up to eight front access / hot swap storage drives and flexible power options for use in command and control centers, process control, network operations centers and traffic management video display wall applications. 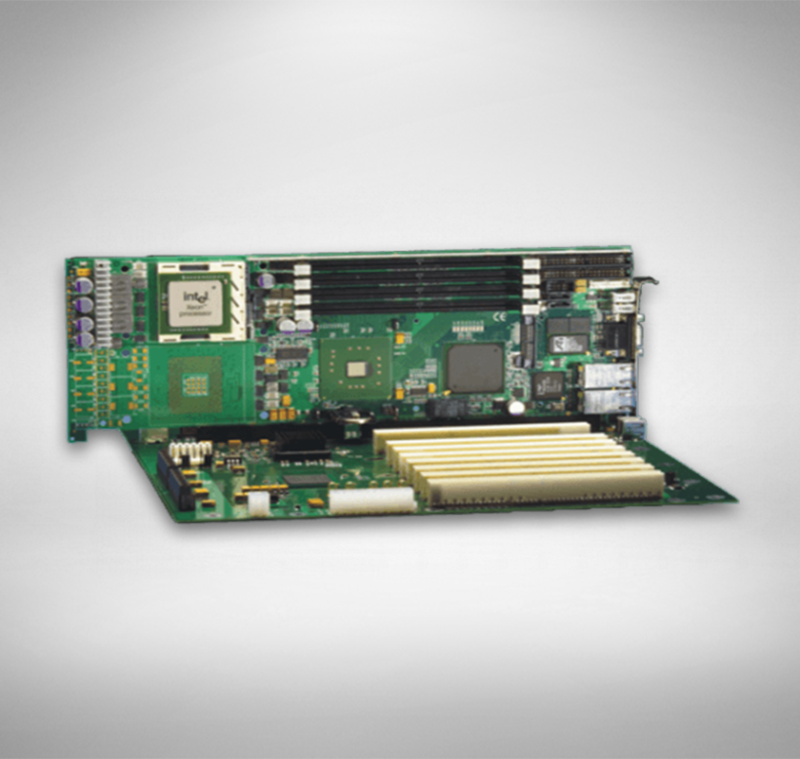 UL recognized and CCC approved system that supports up to fourteen Matrox Mura MPX Series controller boards used in advanced display wall applications with up to 56-screen screens and 56-video input devices. 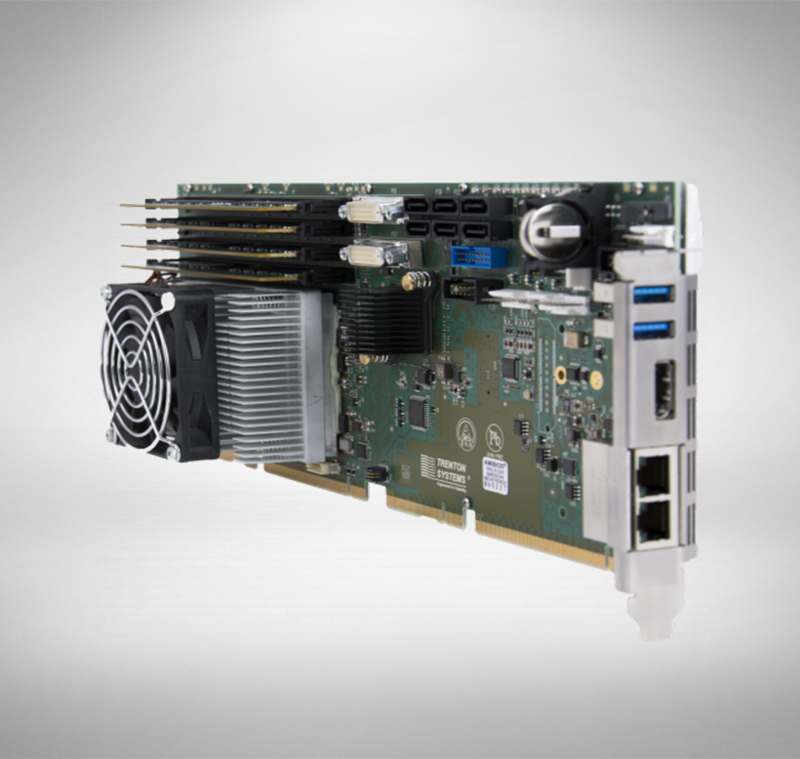 It merges a single-processor Intel® Xeon® single board computer with an advanced PCI Express backplane to support up to seventeen x16 PCI Express 2.0 video card interfaces, thus improving video display wall scalability and functionality in a wide variety of application environments. 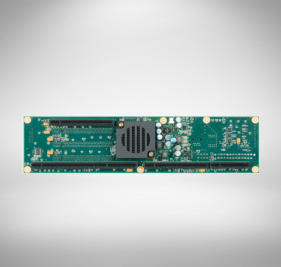 A compact and highly scalable system that supports up to eight Matrox Mura MPX Series controller boards used in advanced display wall applications with up to 32-screen screens and 32-video input devices. 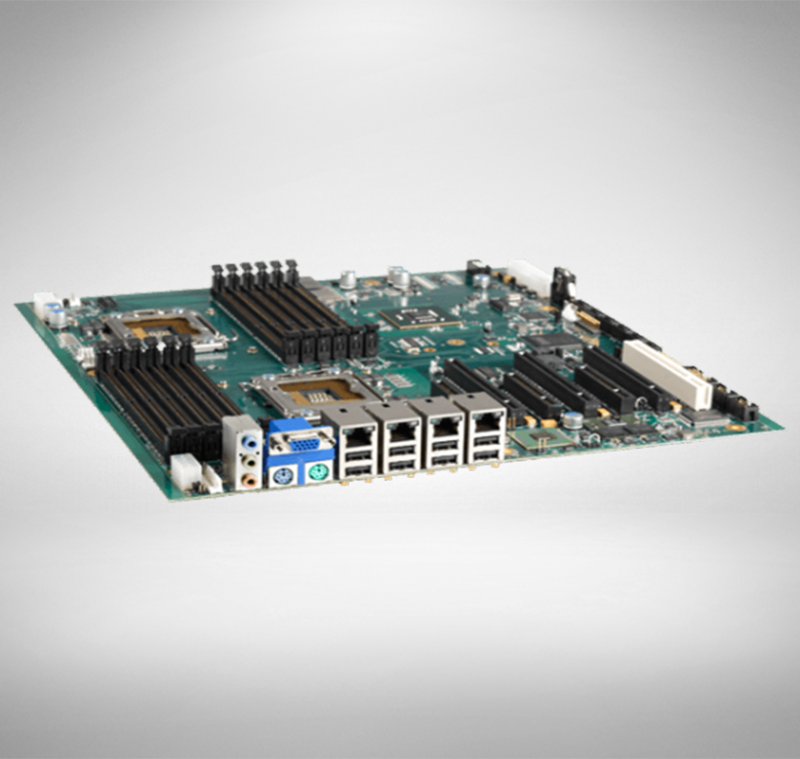 It merges a single-processor Intel® Xeon® system host board with an advanced PCI Express backplane to support up to eight x16 PCI Express video card interfaces; with an additional five x16 PCIe card slots driven with x4 PCIe links, thus improving video display wall scalability and functionality in a wide variety of application environments. 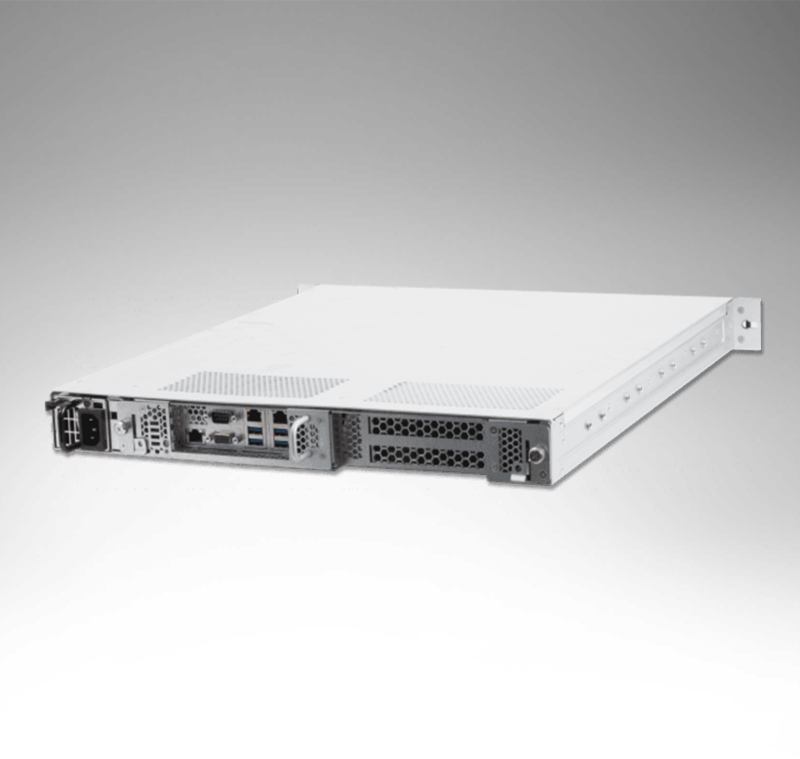 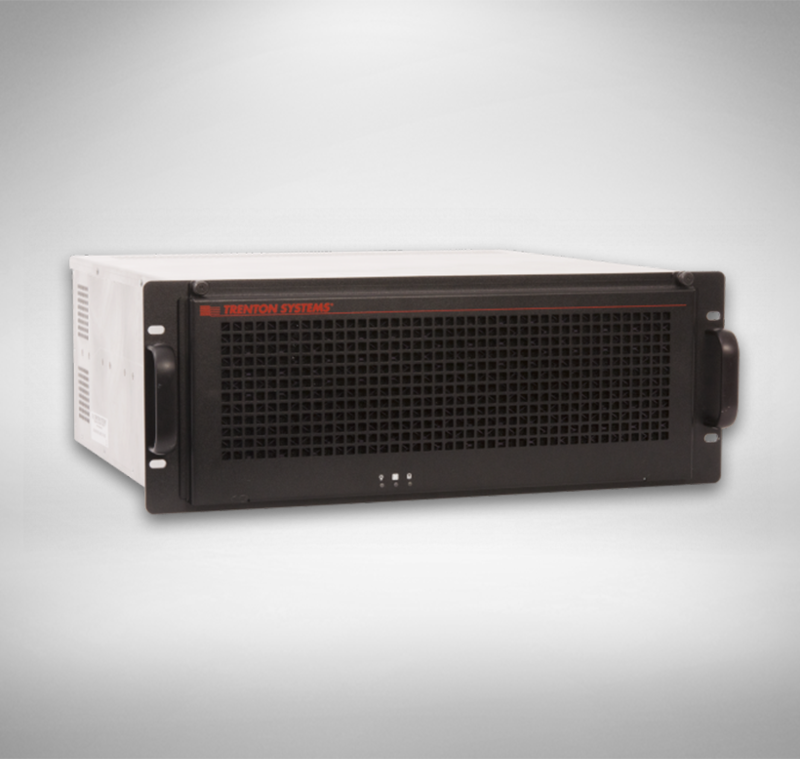 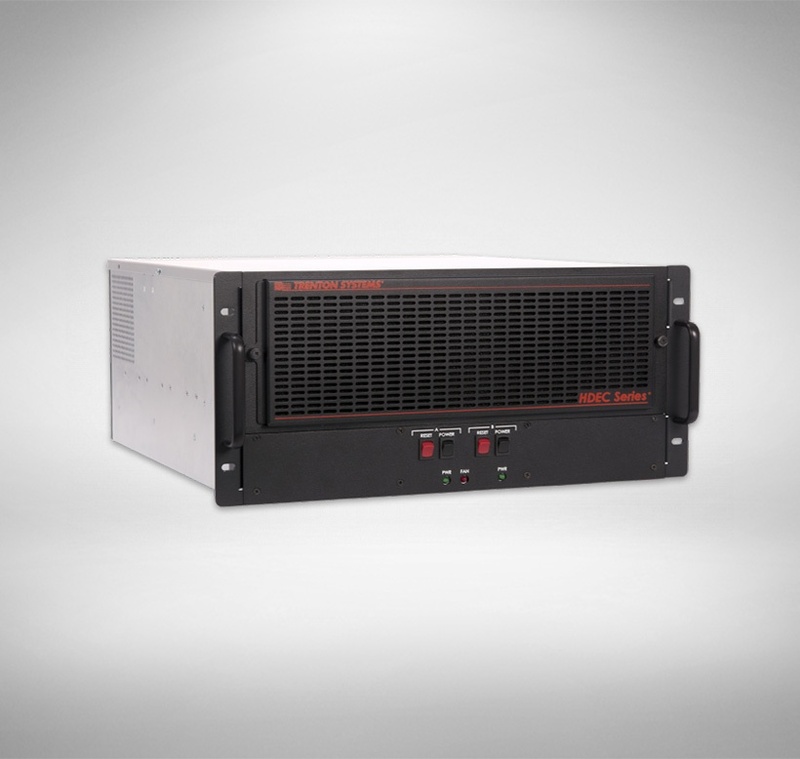 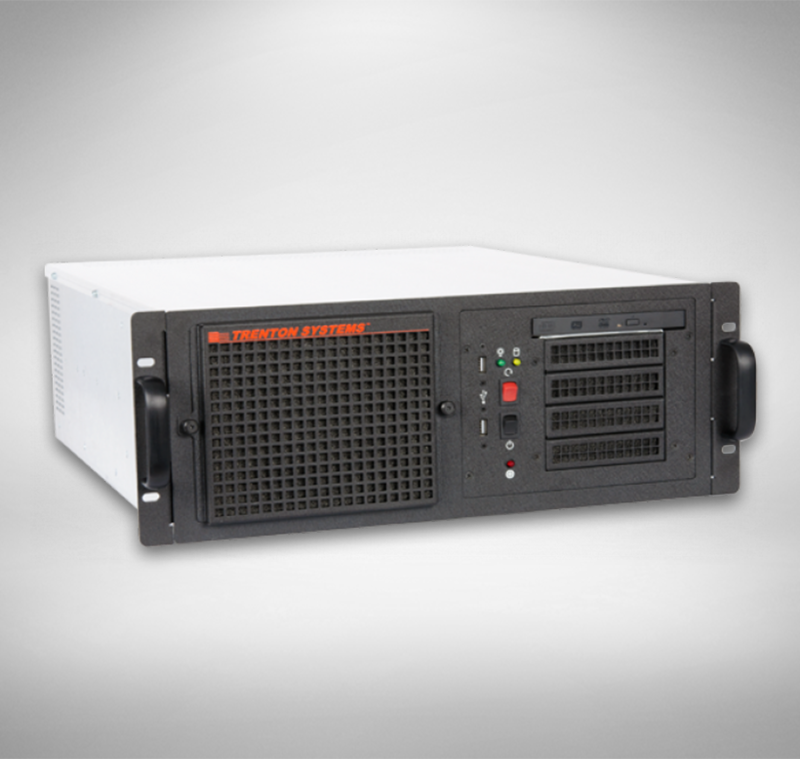 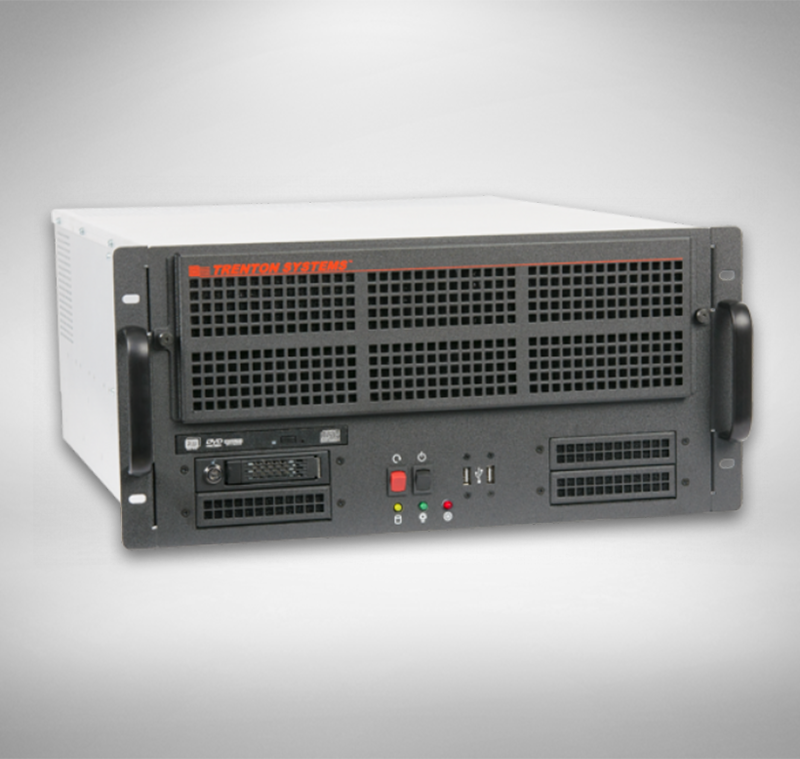 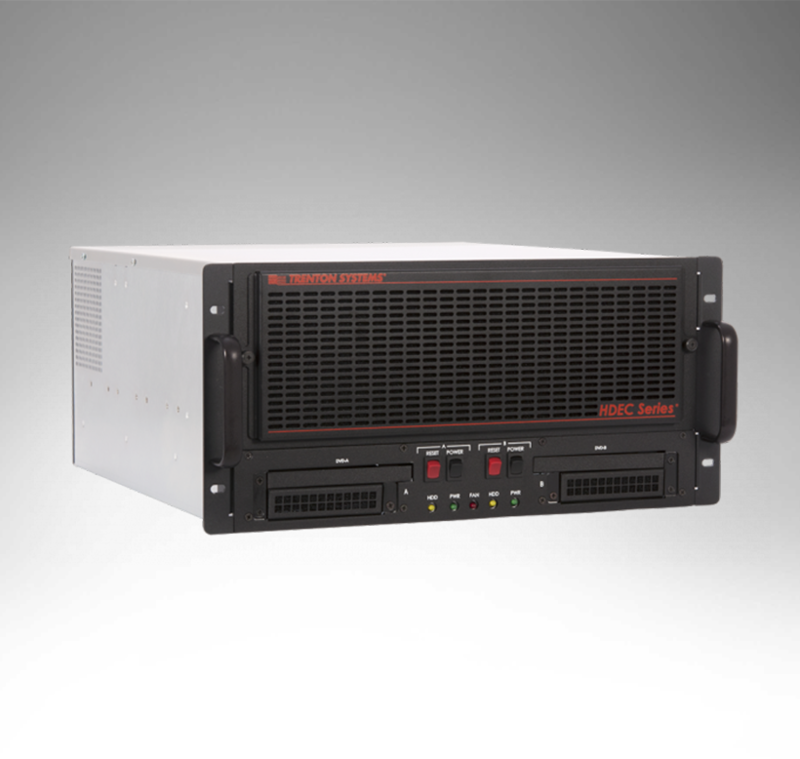 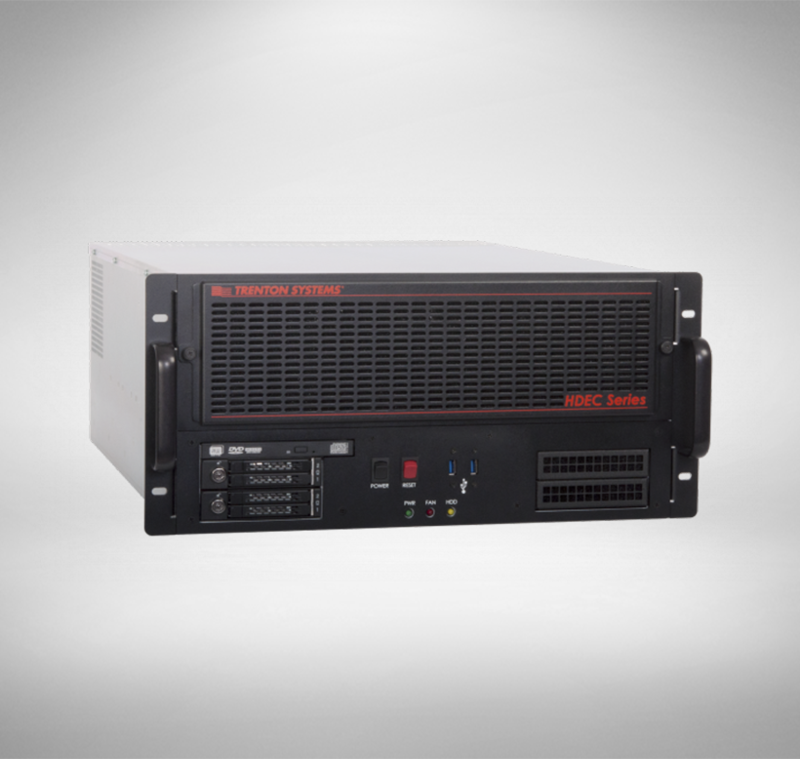 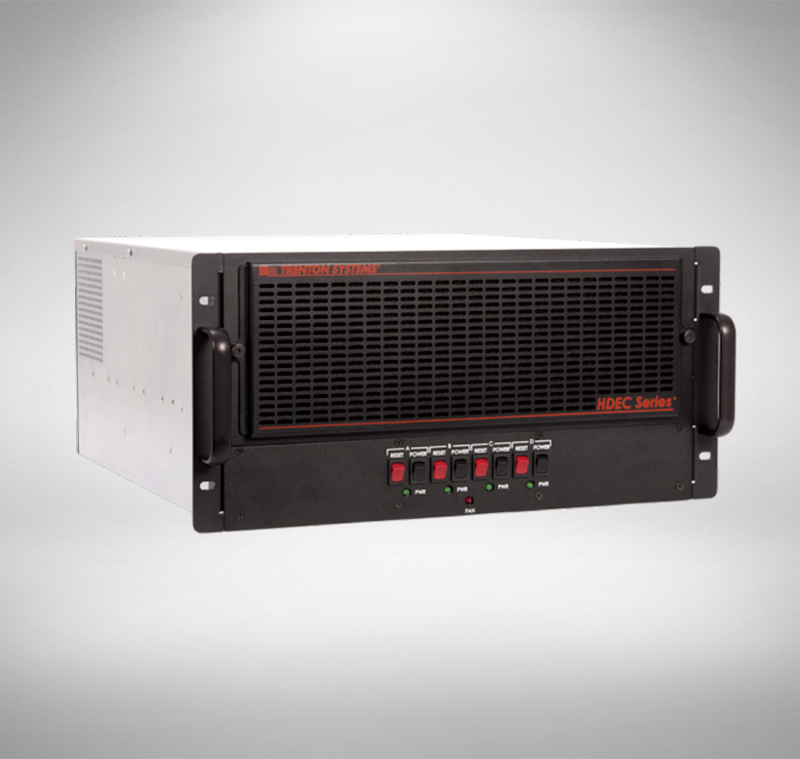 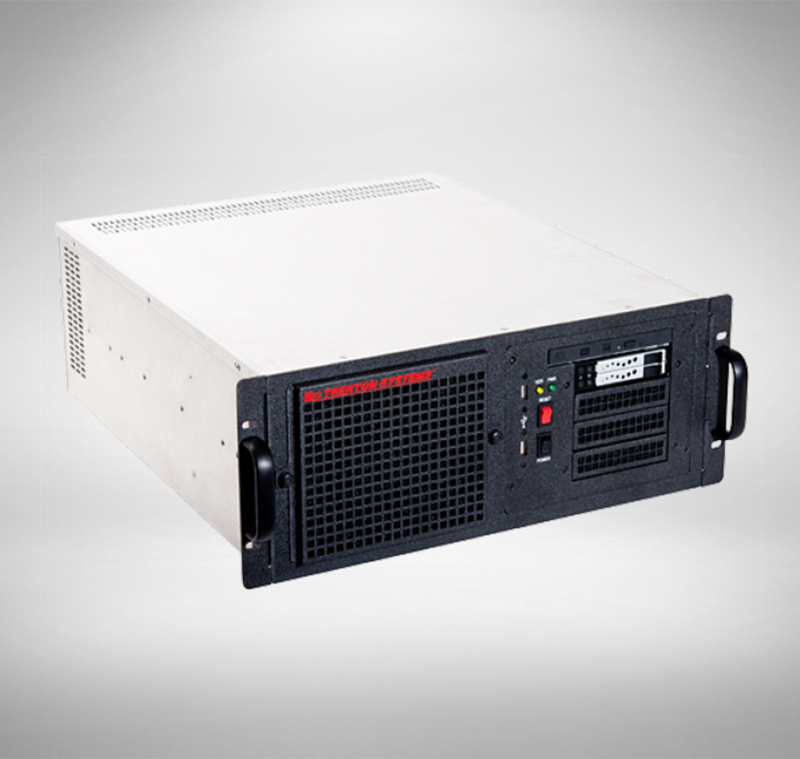 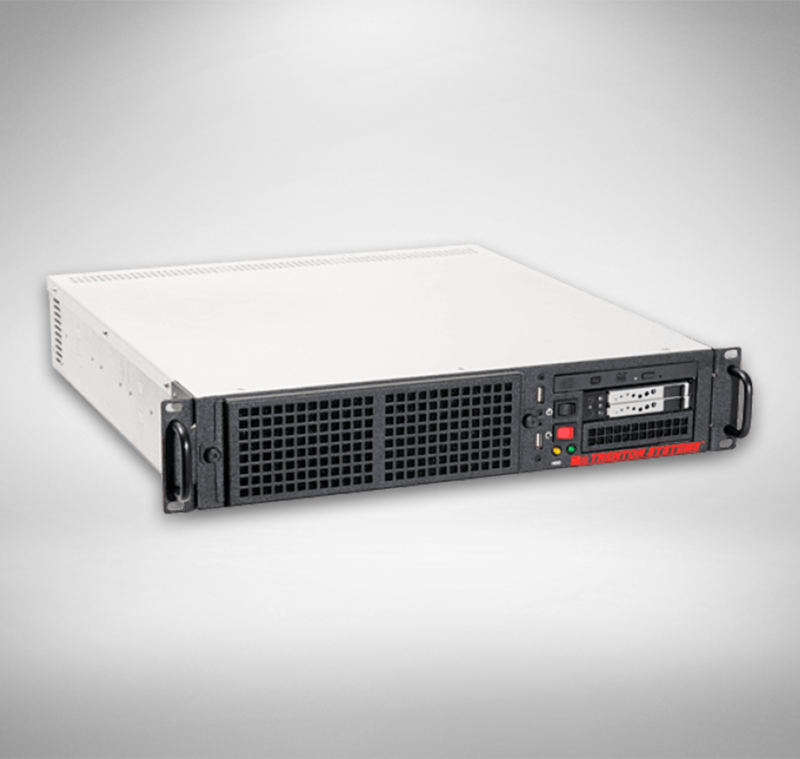 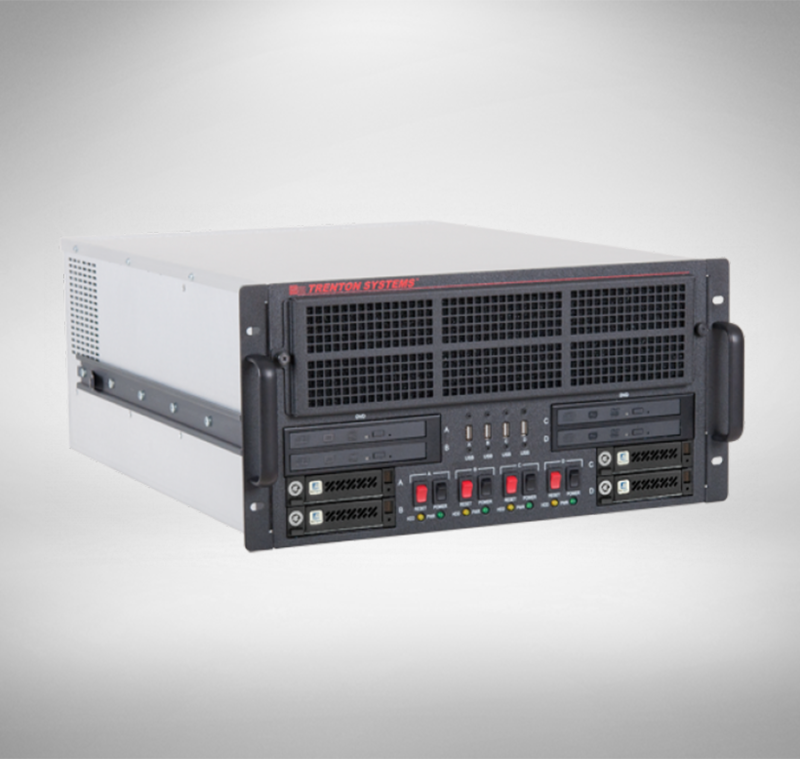 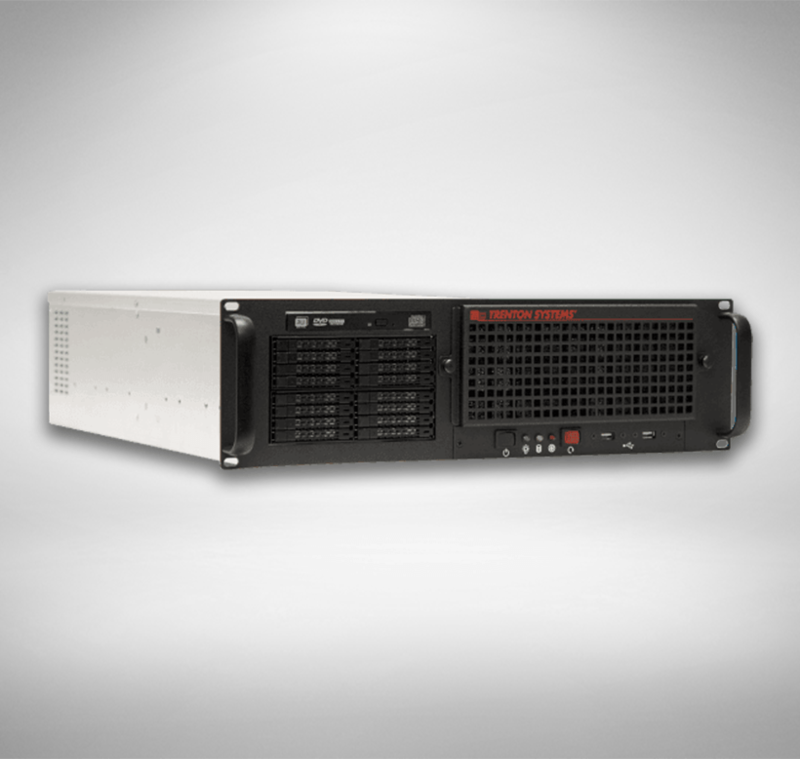 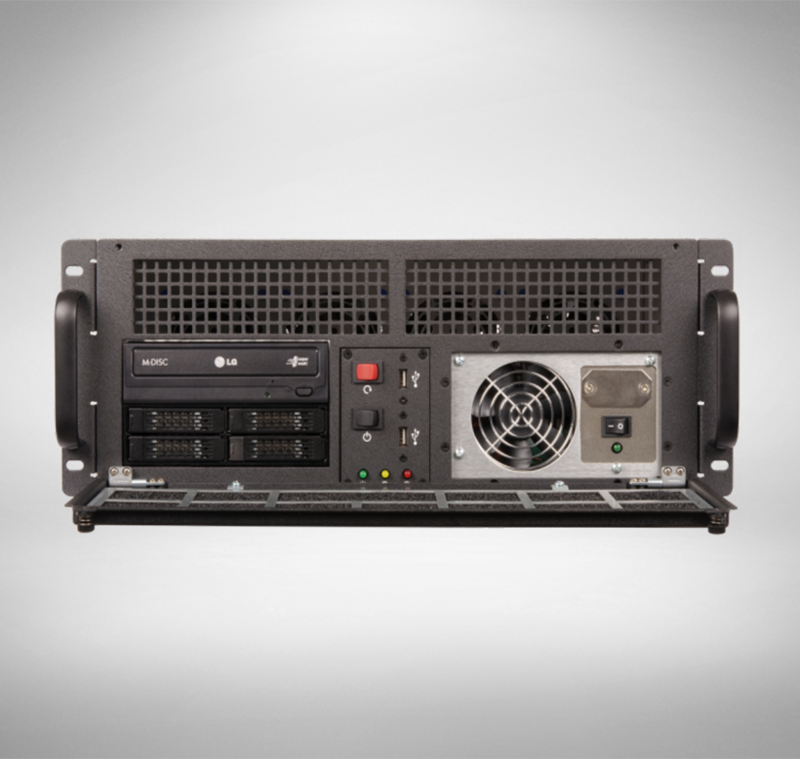 The TCS2503 is a 2U high, 18" rackmount chassis featuring a PICMG 1.3 system host board. 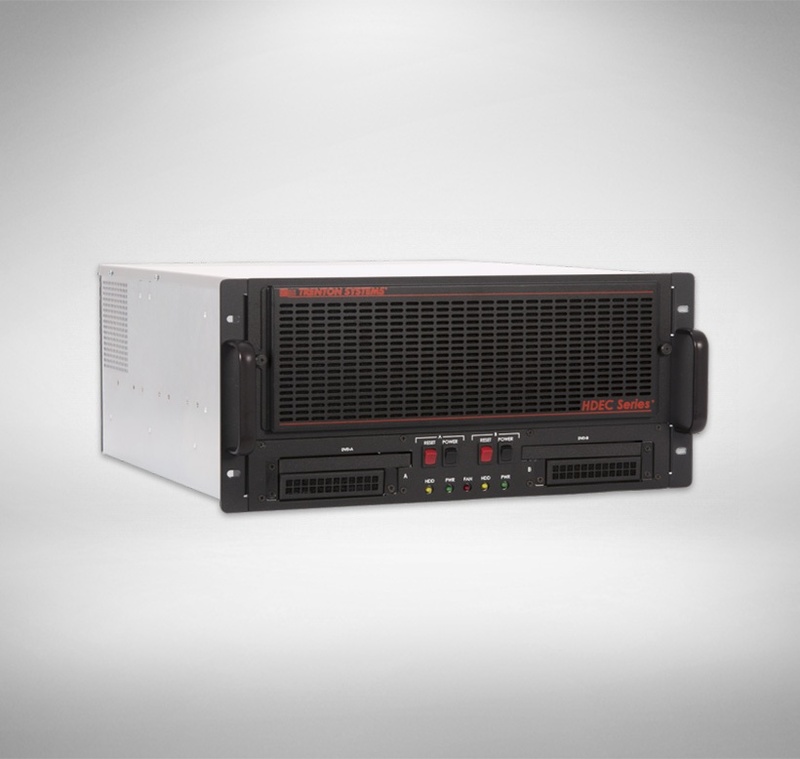 The Trenton Cryptographic Systems (TCS) are a family of 18.2” rugged rackmount computers which are IBM®-approved x86 architecture servers featuring the IBM®4767-002 PCIe Cryptographic Coprocessor (Hardware Security Module (HSM)) as well as a choice of dual or single-processor single board computers in 2U and 4U height dimensions. 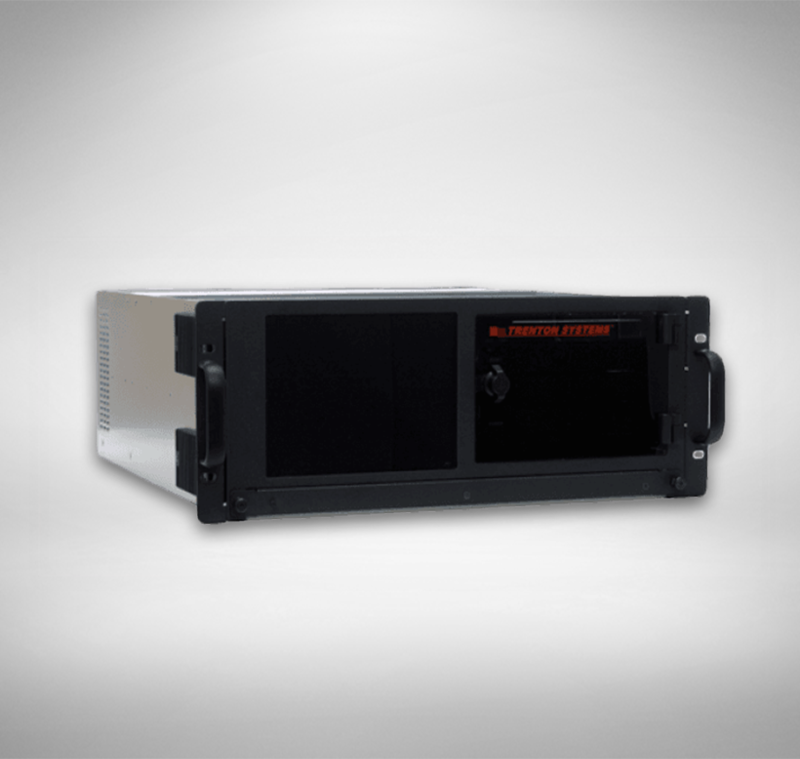 Deploying cryptography is a crucial element of modern business applications, enabling the protection of privacy and confidentiality of data, ensuring its integrity and providing user accountability through digital signature techniques. 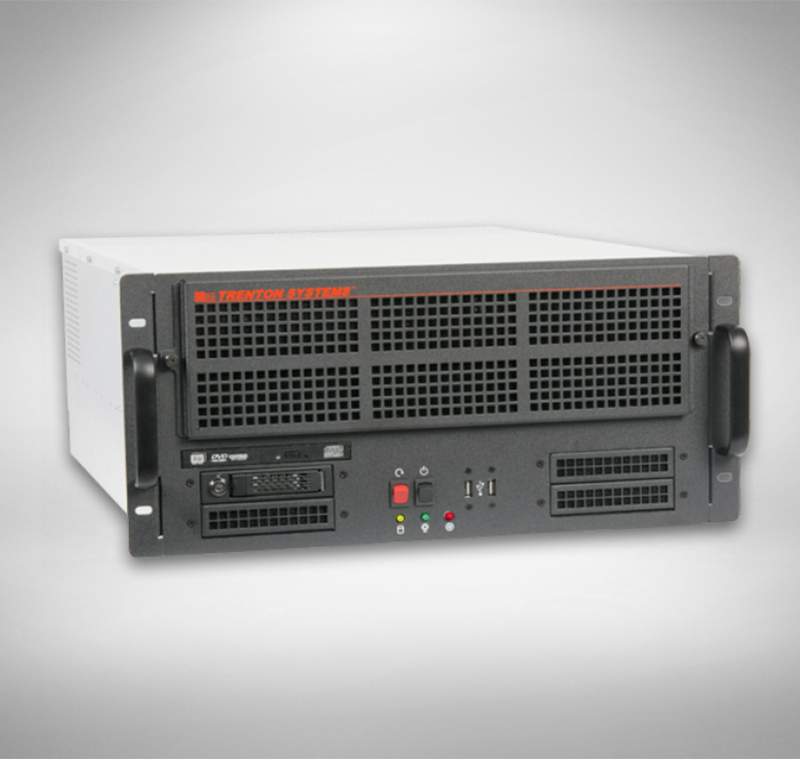 The Trenton Cryptographic Systems (TCS) are a family of 19” rugged rackmount computers which are IBM®-approved x86 architecture servers featuring the IBM®4767-002 PCIe Cryptographic Coprocessor (Hardware Security Module (HSM)) as well as a choice of dual or single-processor single board computers in 2U and 4U height dimensions. 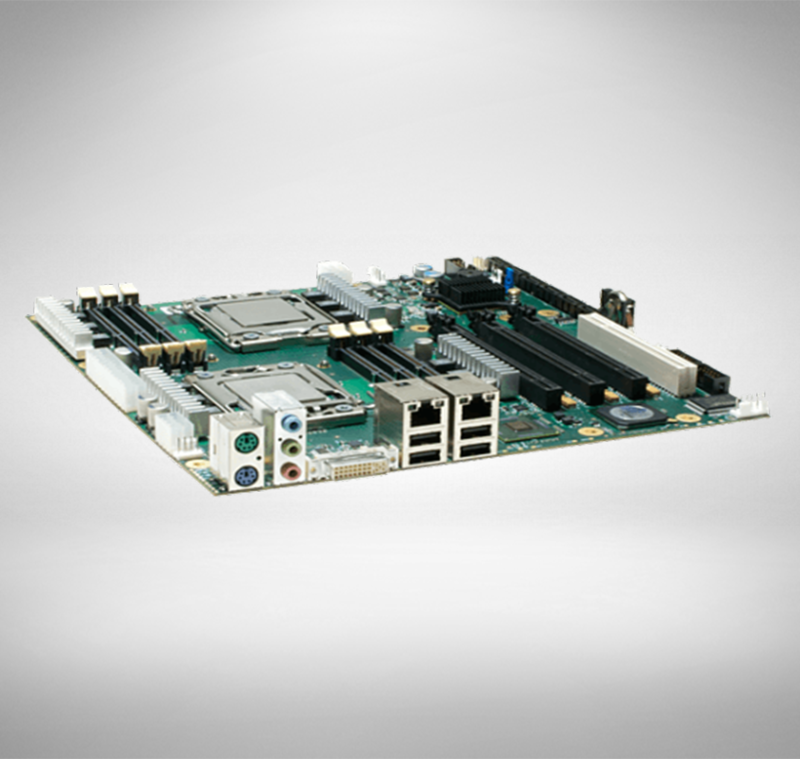 Introducing the most rugged motherboard on the market - the SSP8268. 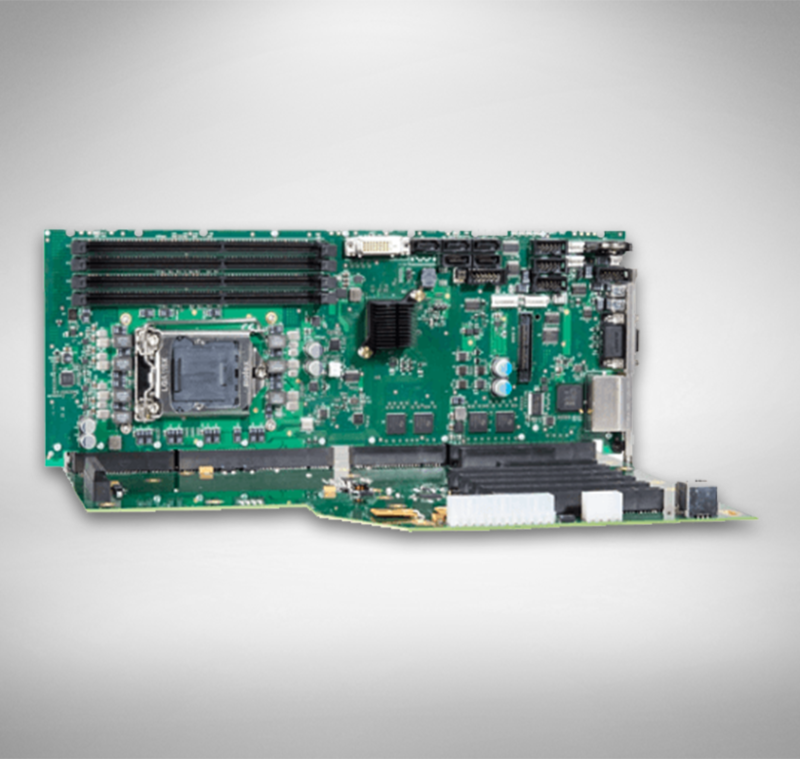 Trenton Systems' NEW eATX motherboard that boasts 22 fortified layers, eliminating board flex once and for all. 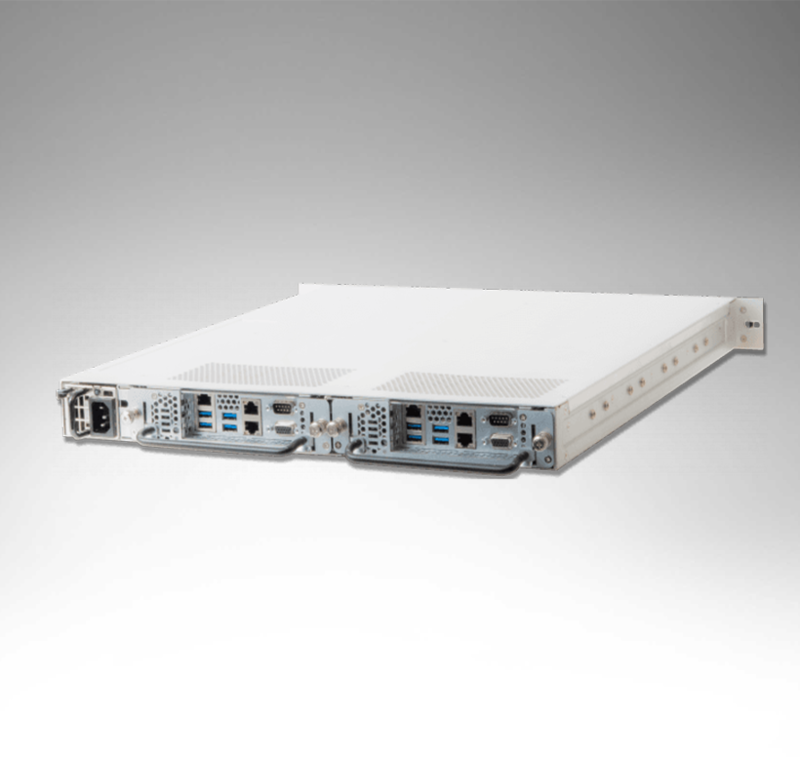 7 x GbE ports, 7 PCIe slots, on-board TPM 2.0, and so much more. 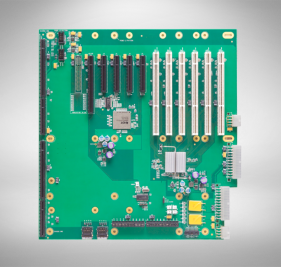 The future of rugged motherboards is here!